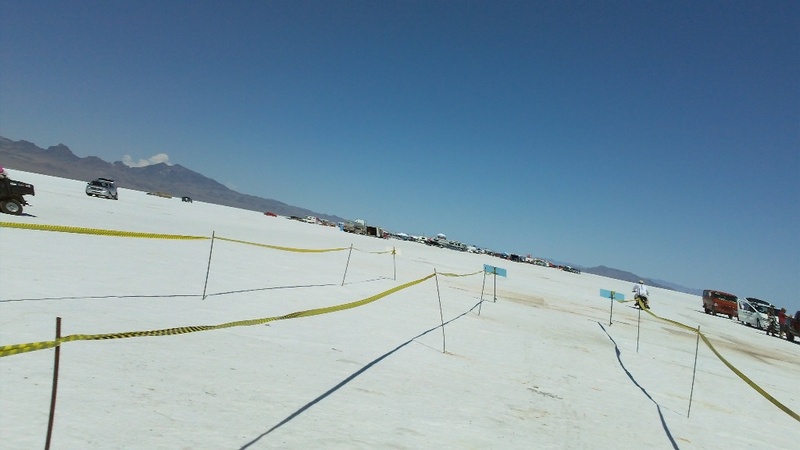 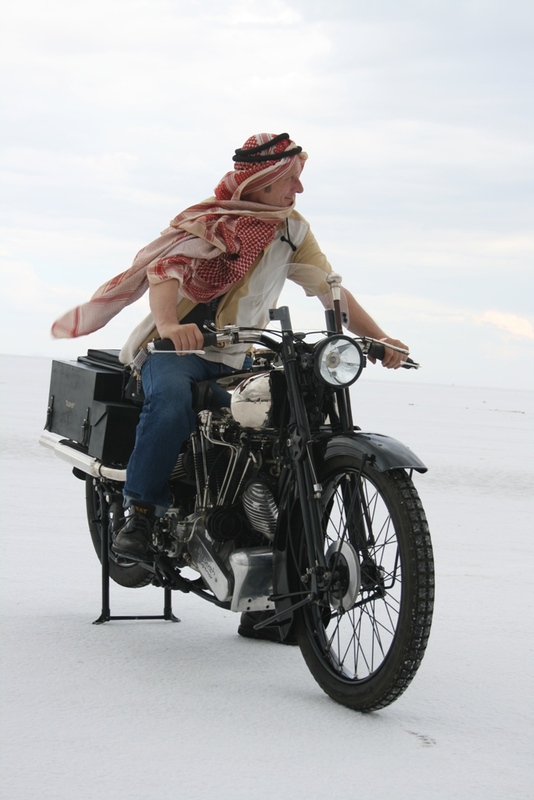 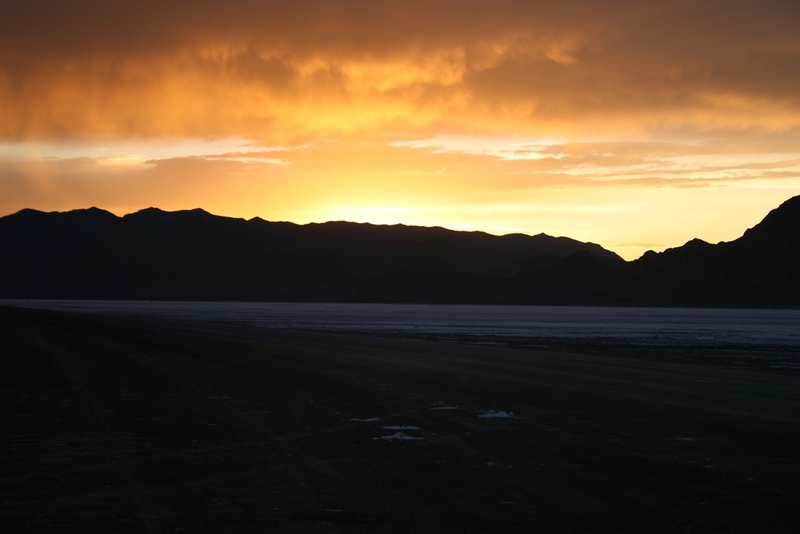 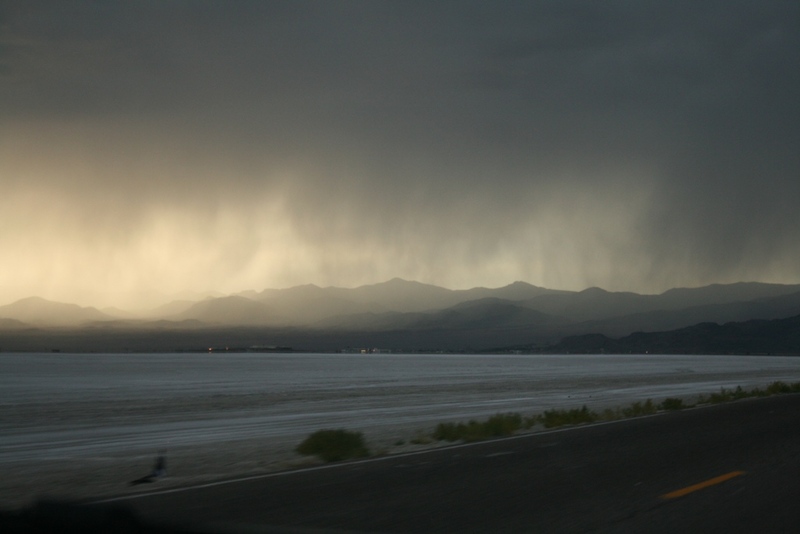 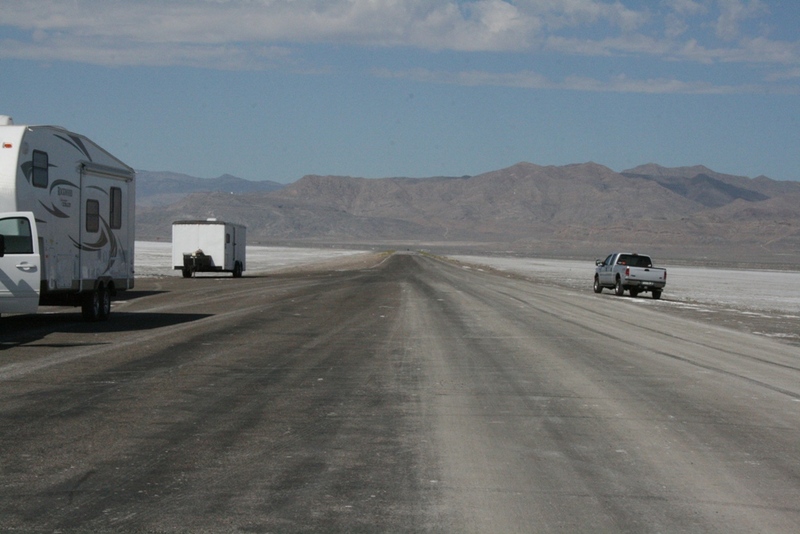 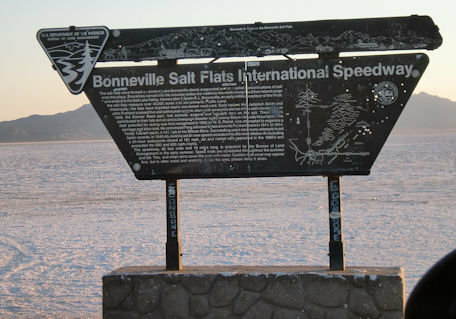 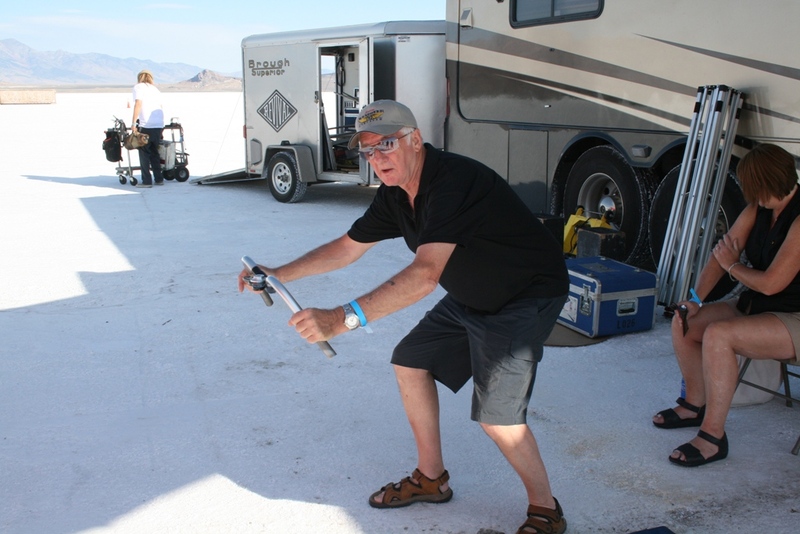 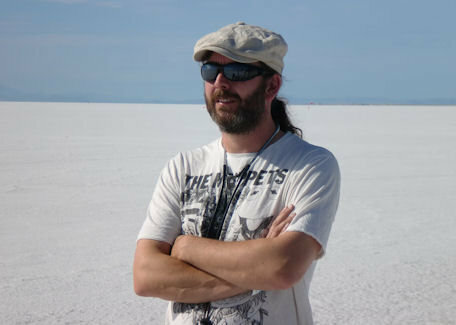 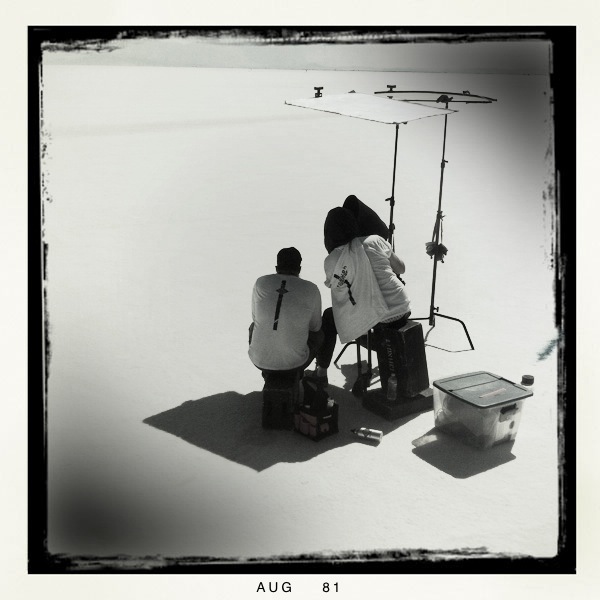 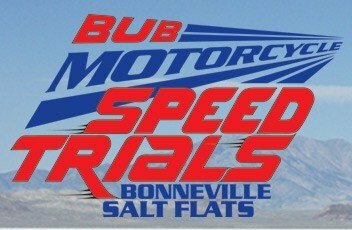 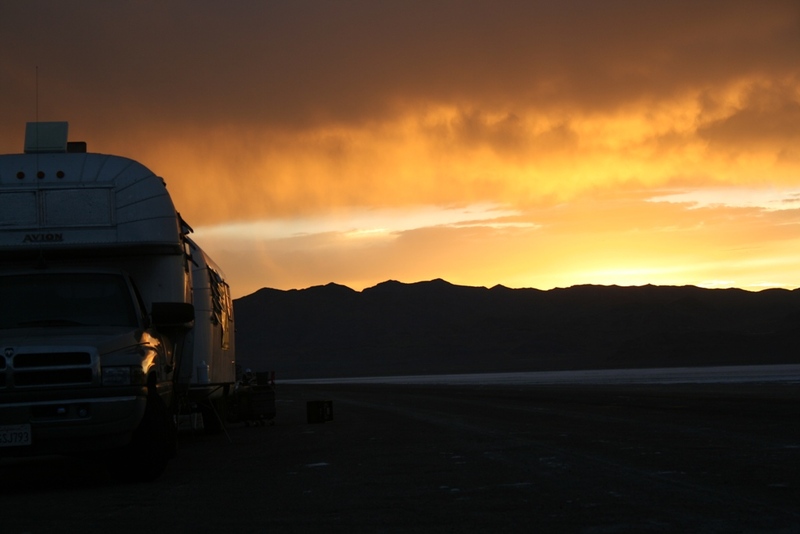 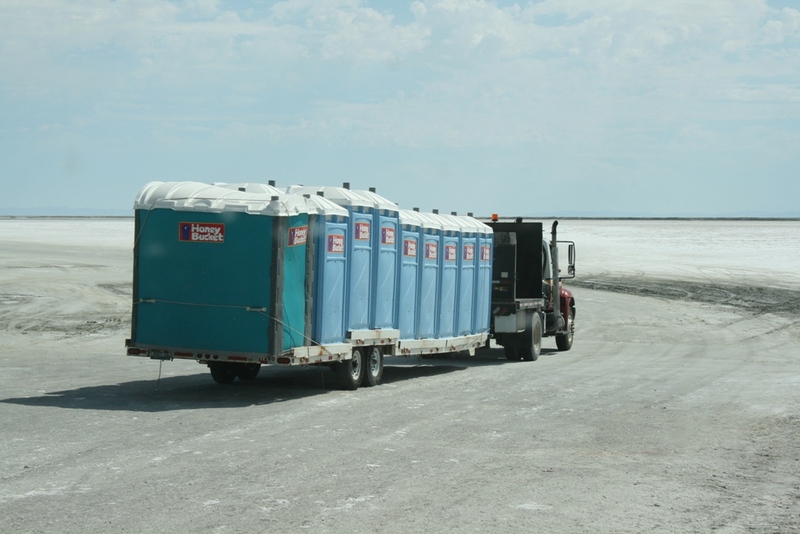 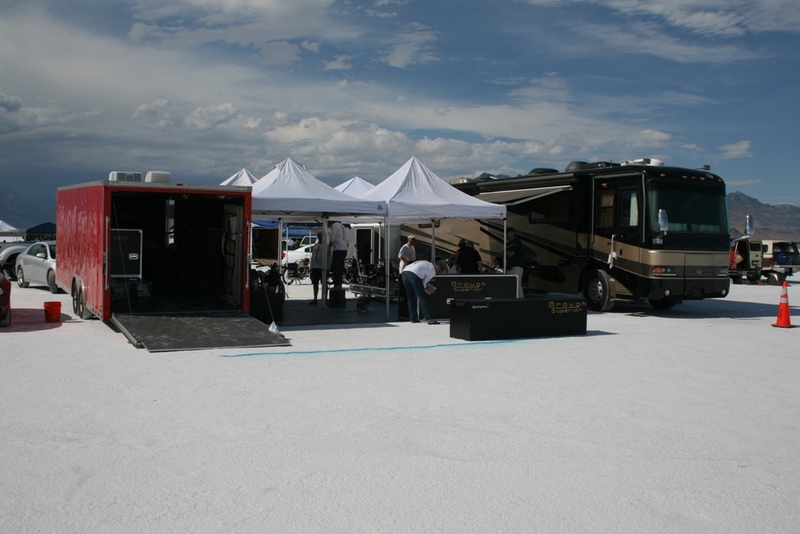 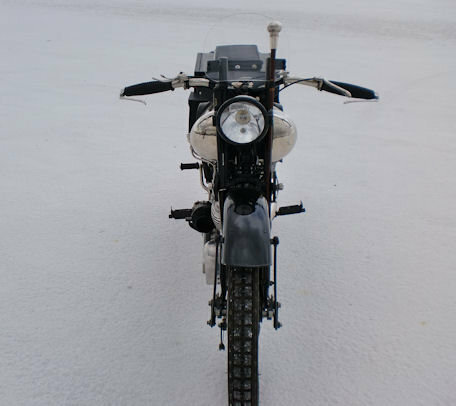 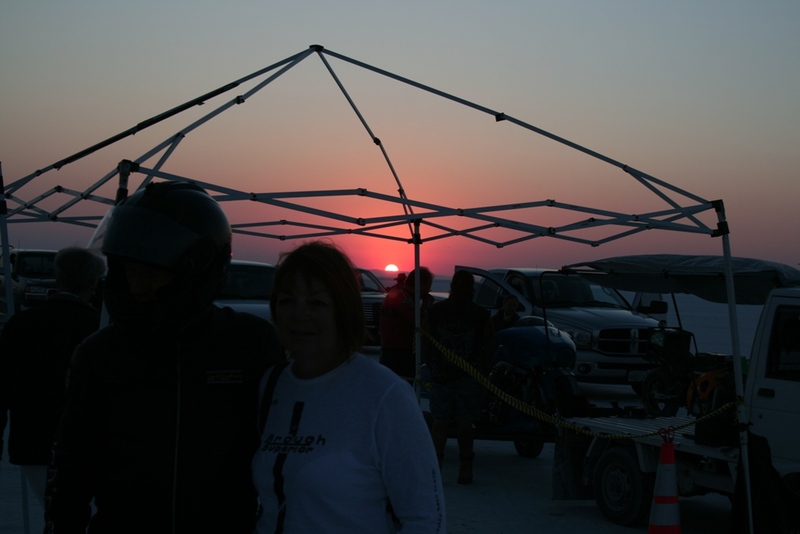 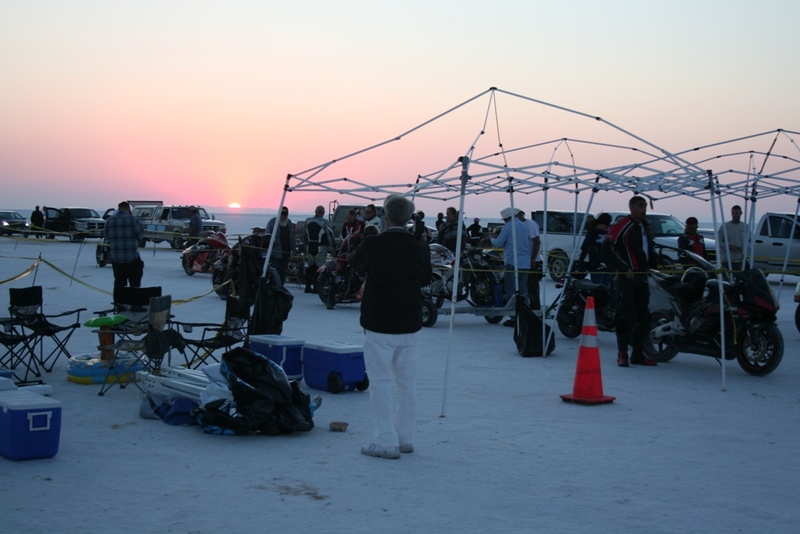 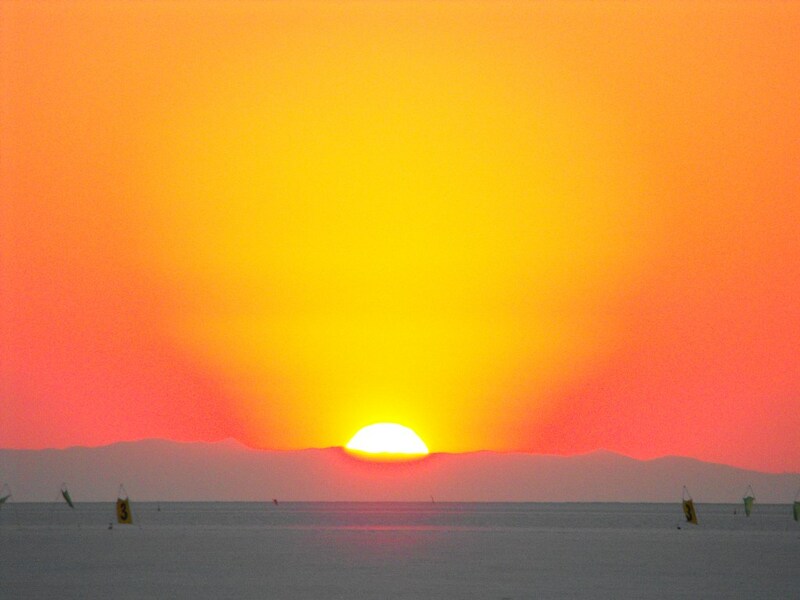 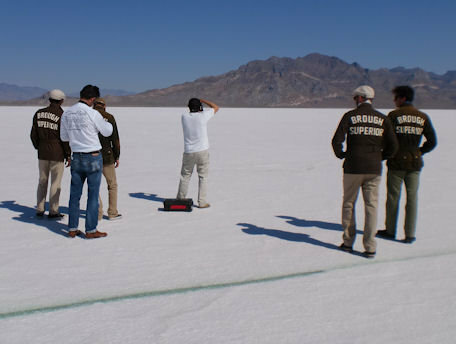 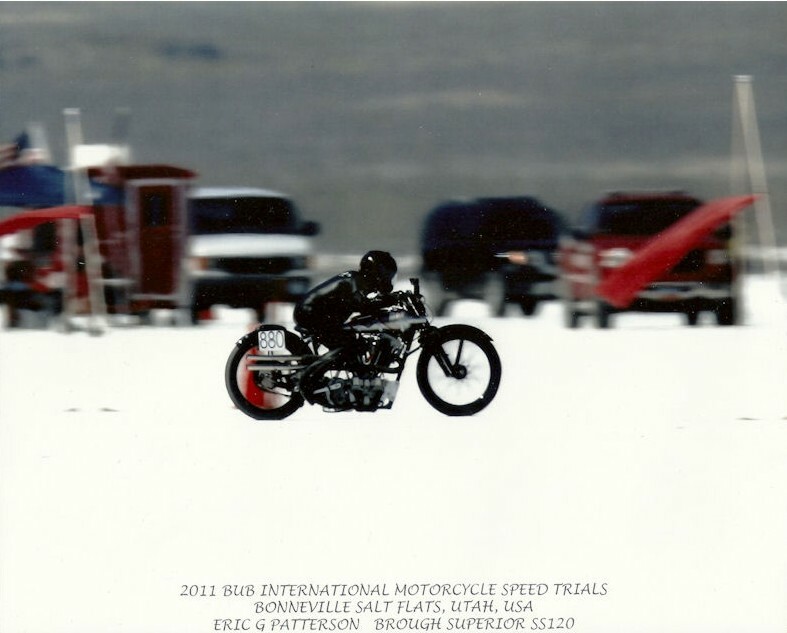 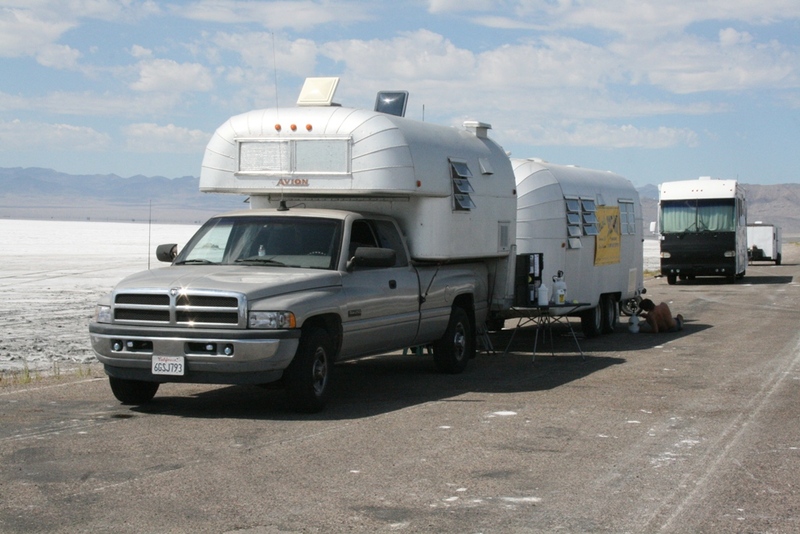 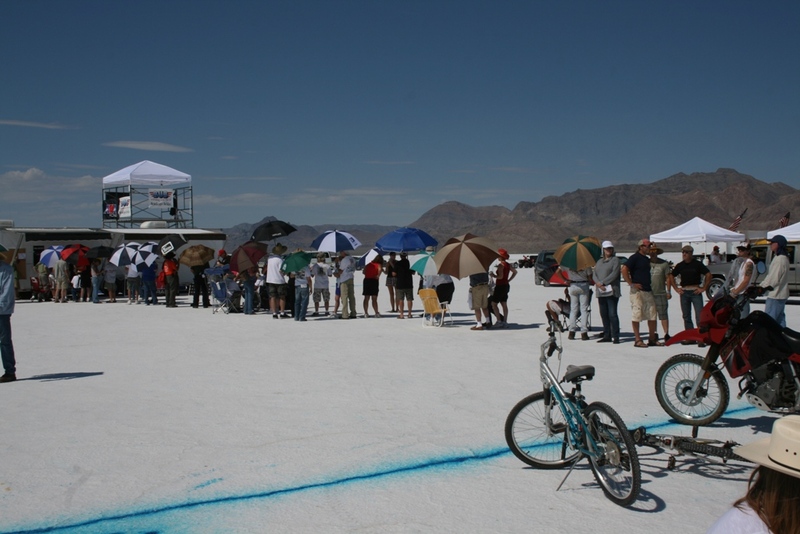 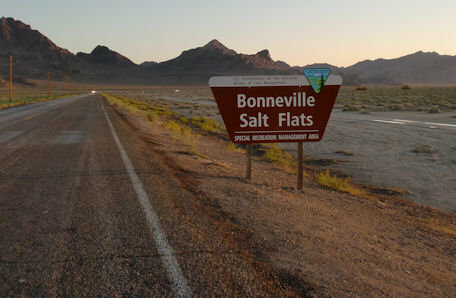 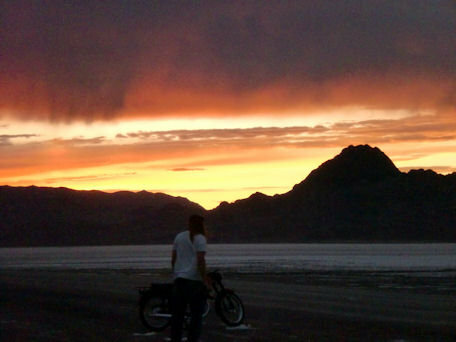 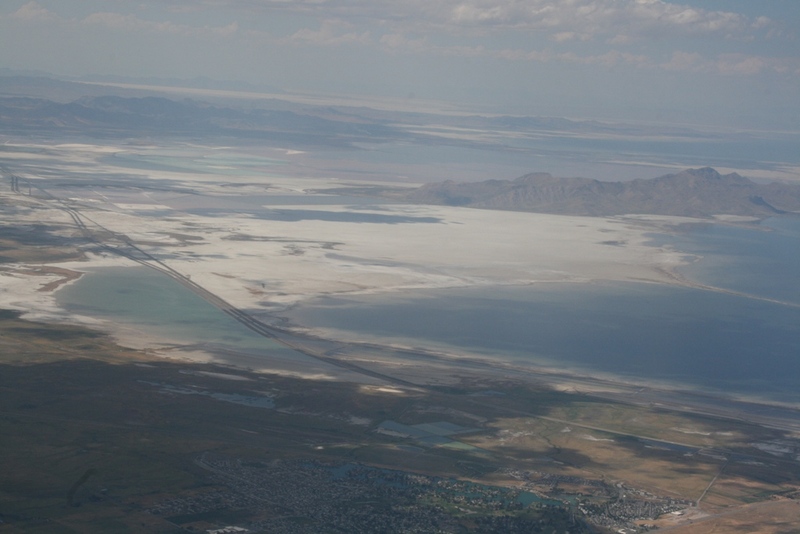 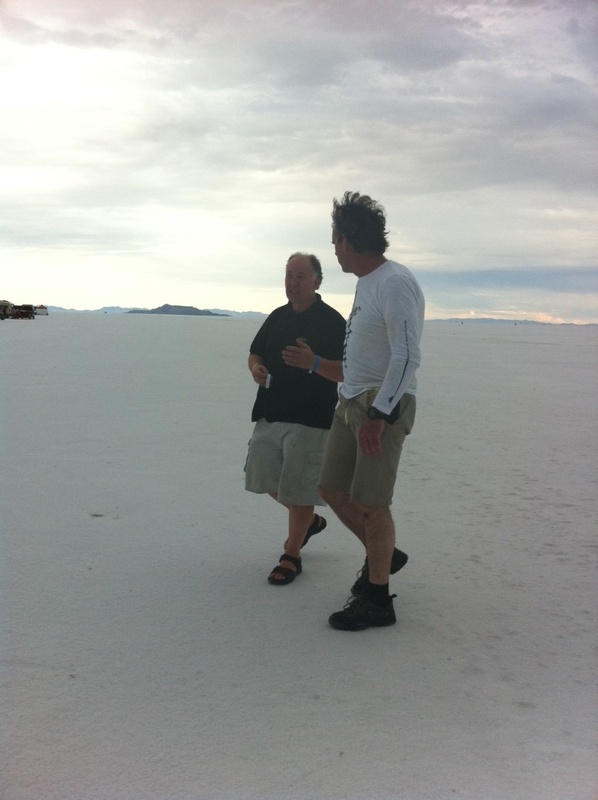 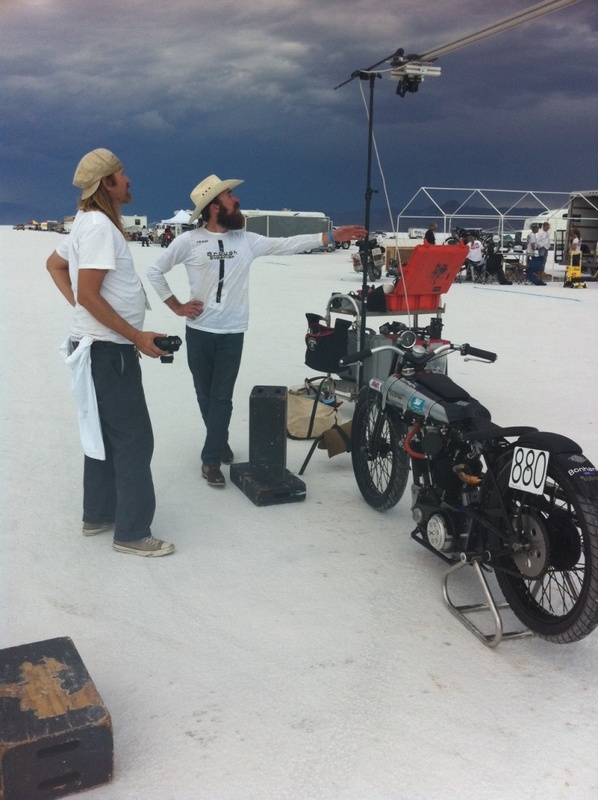 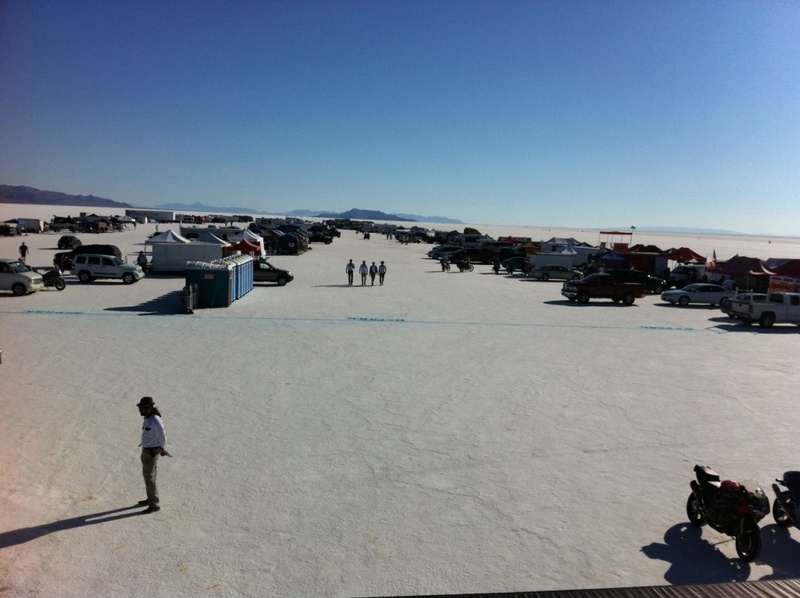 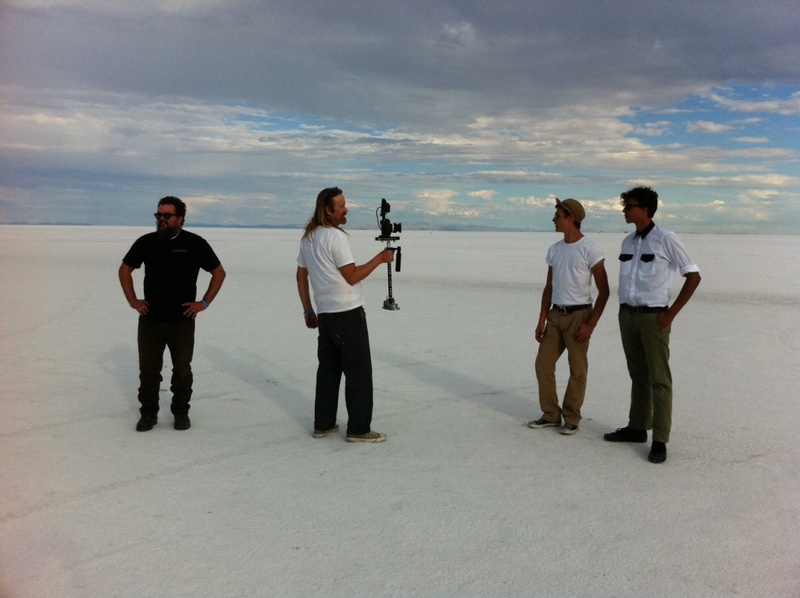 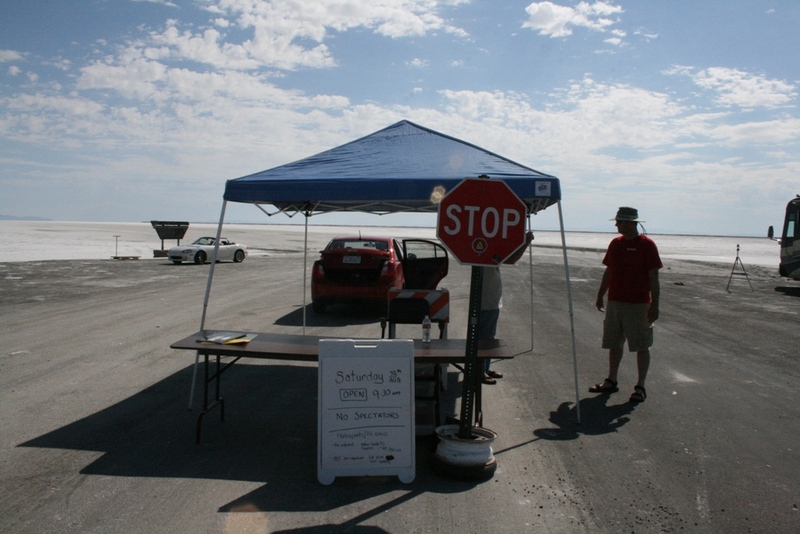 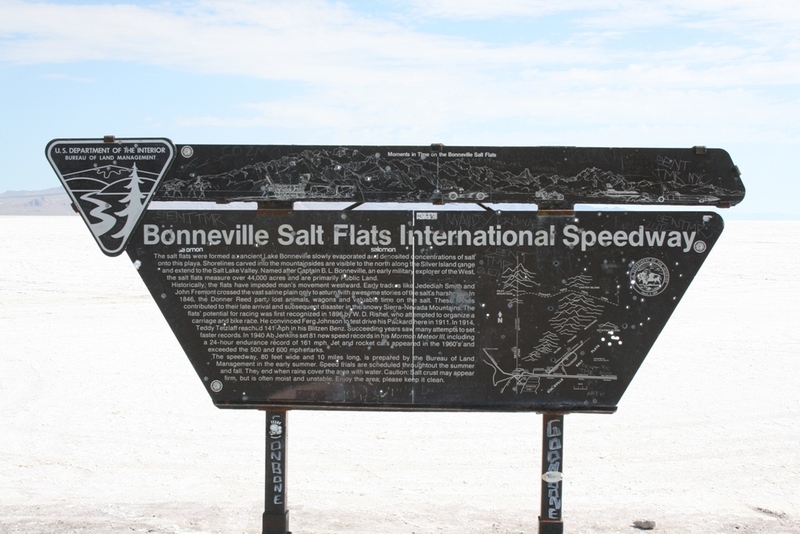 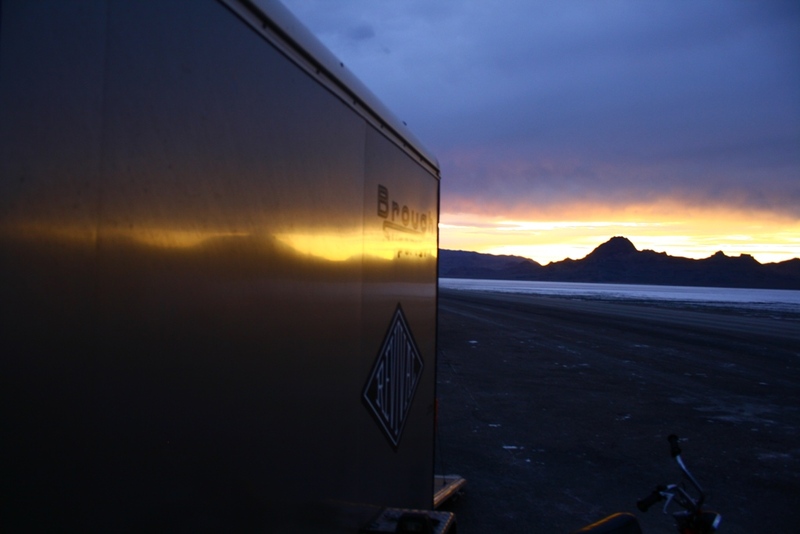 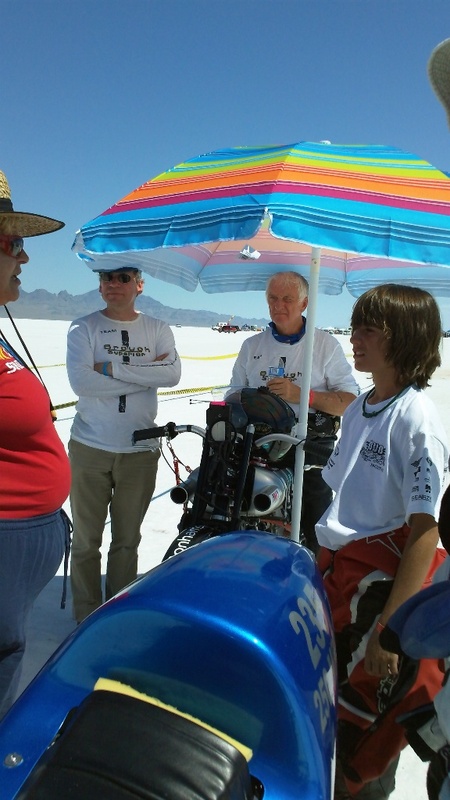 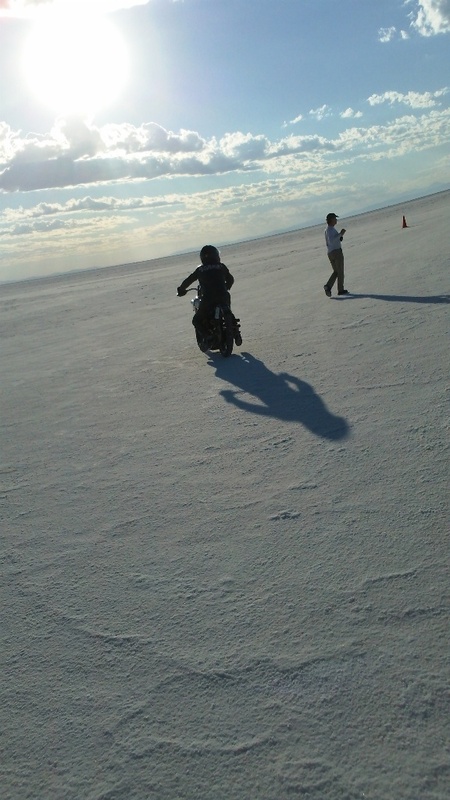 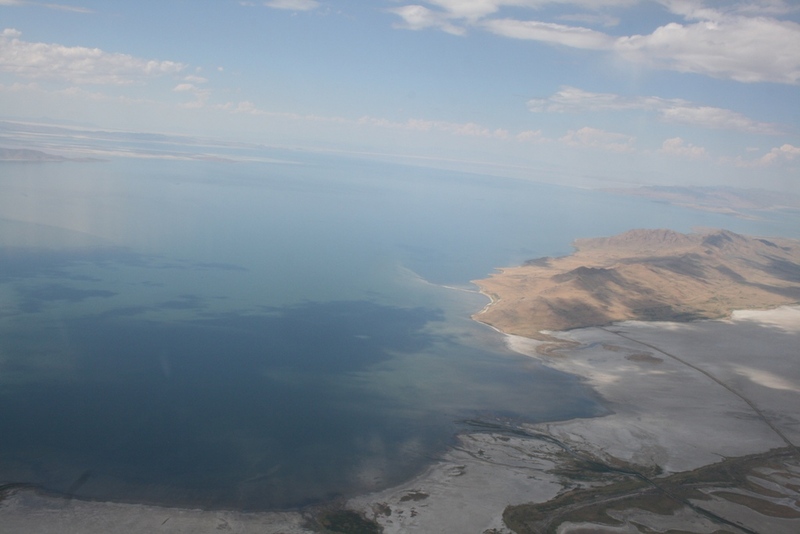 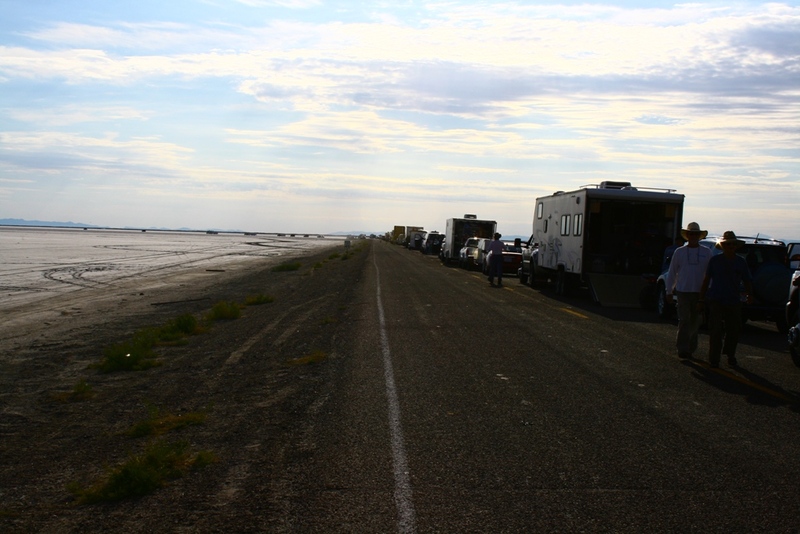 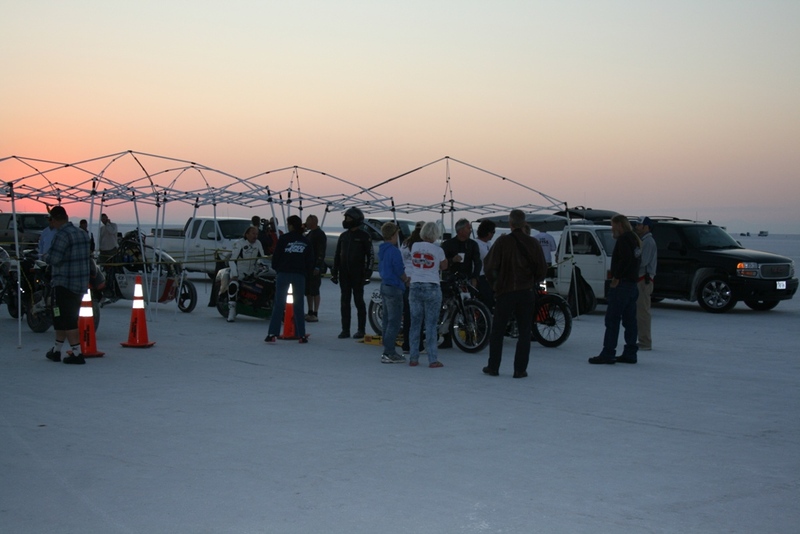 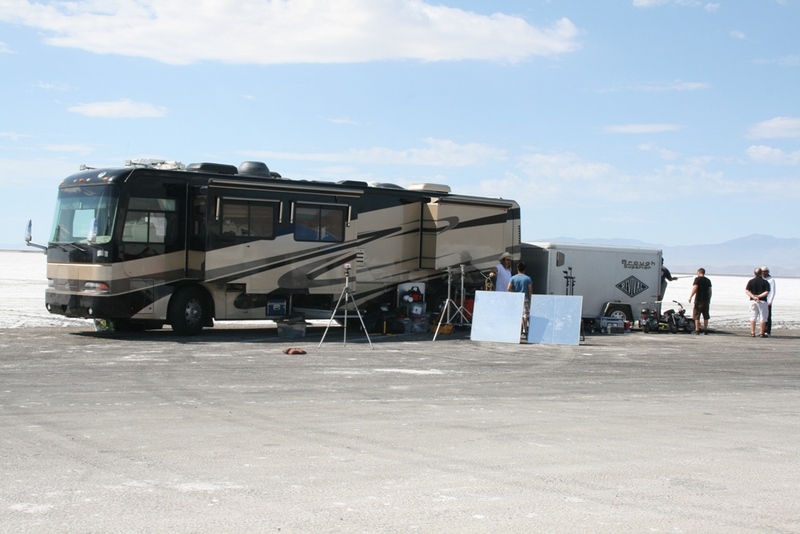 There is a magic attaching to Bonneville Salt Flats that, in motorcycling terms, exists nowhere else. 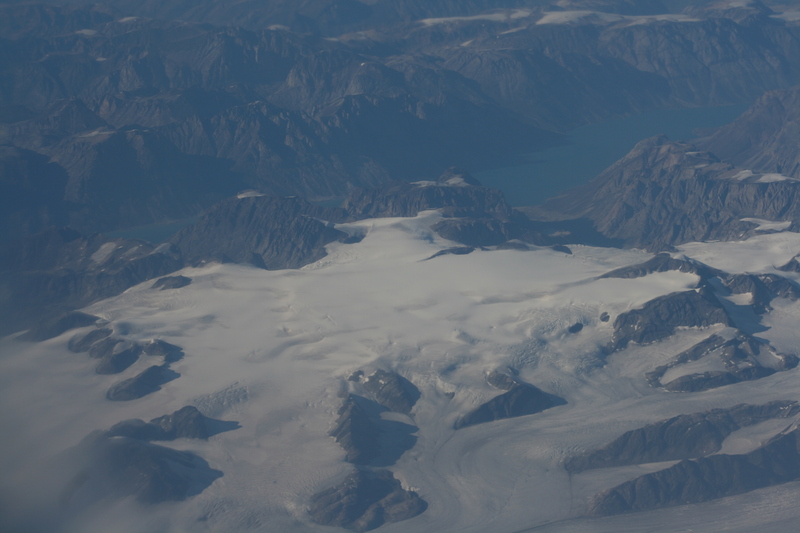 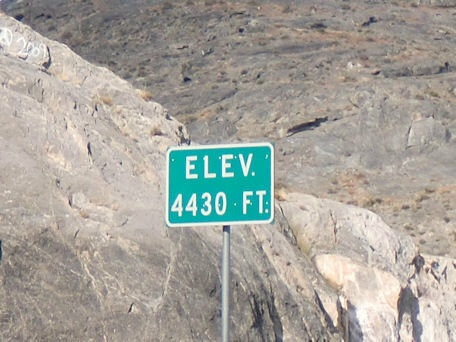 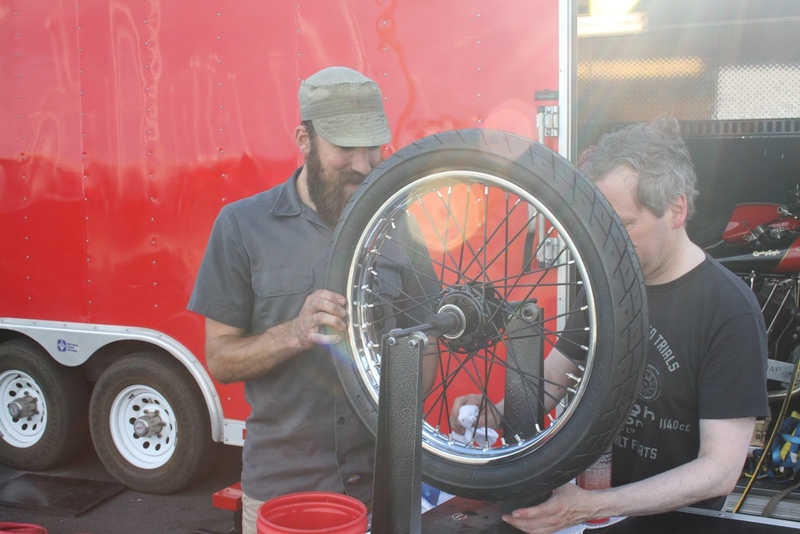 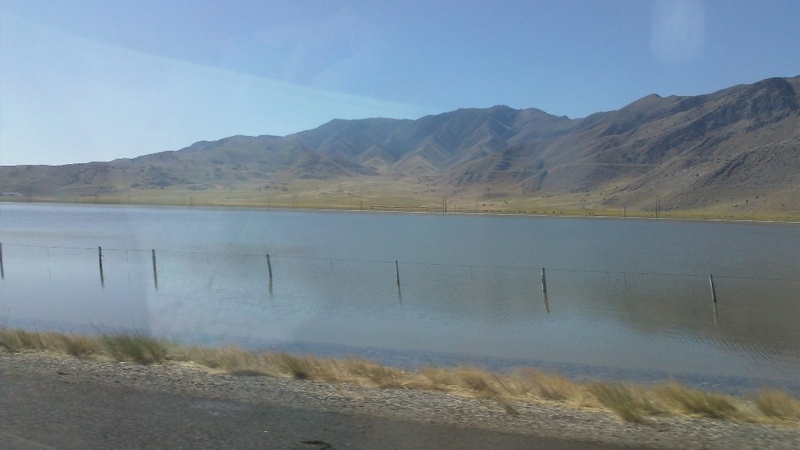 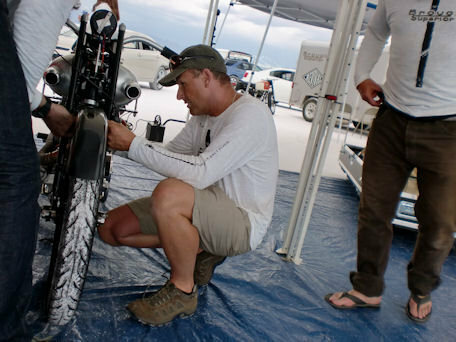 It is a magic linked to one of the greatest mechanical challenges, for the terrain is vast, changeable, and 4400 feet above sea level, factors that combine to provide riders and engineers with unforeseen difficulties. 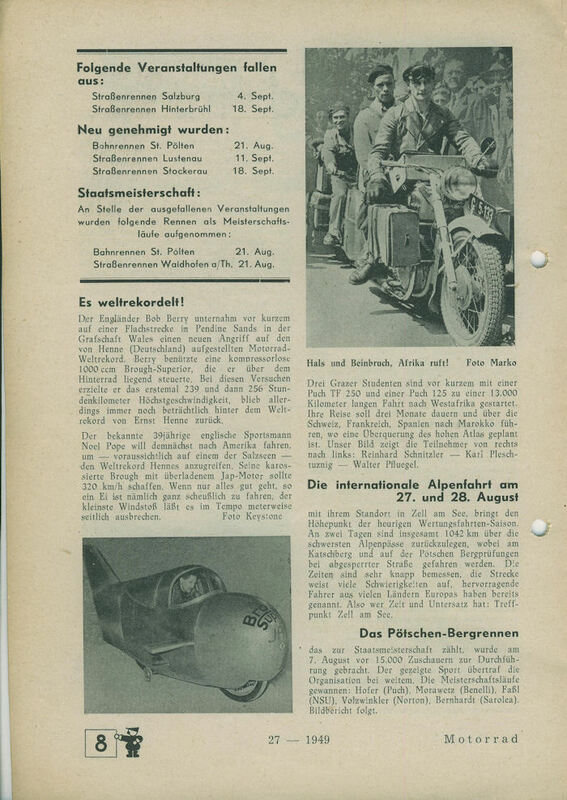 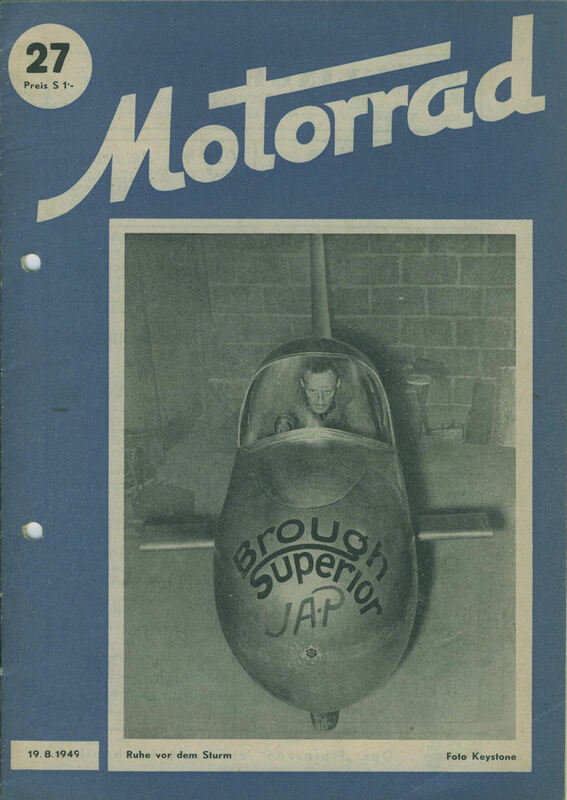 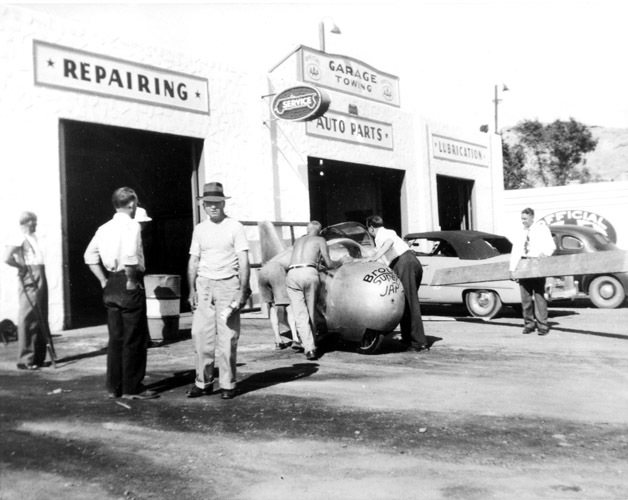 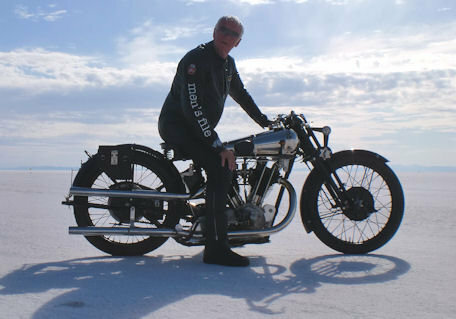 Englishman Noel Pope, the fastest ever motor-cyclist at Brooklands, went to Bonneville with a streamlined Brough Superior some 60 years ago but, sadly, suffered a high speed crash on his first test run. 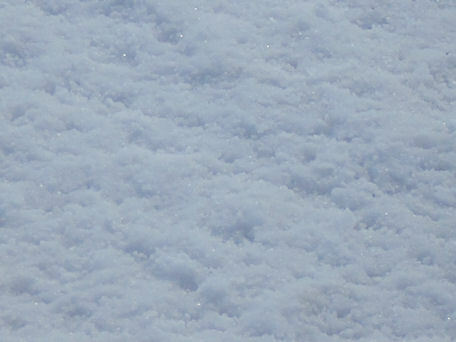 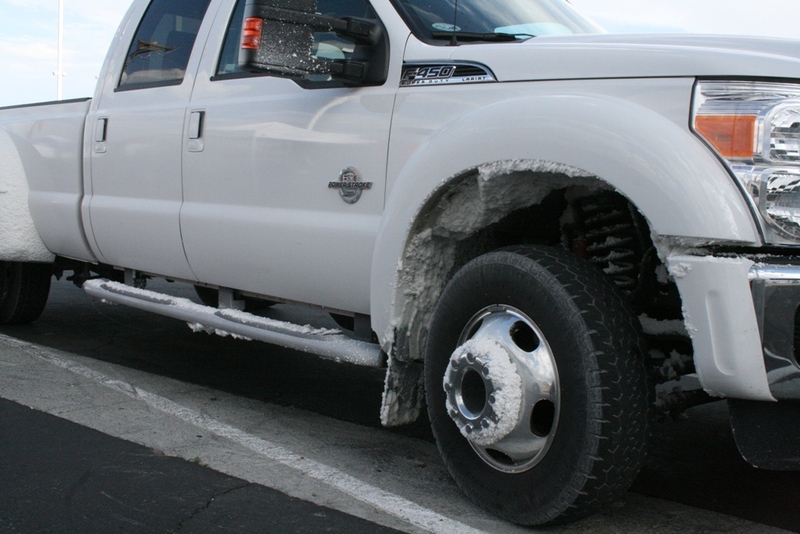 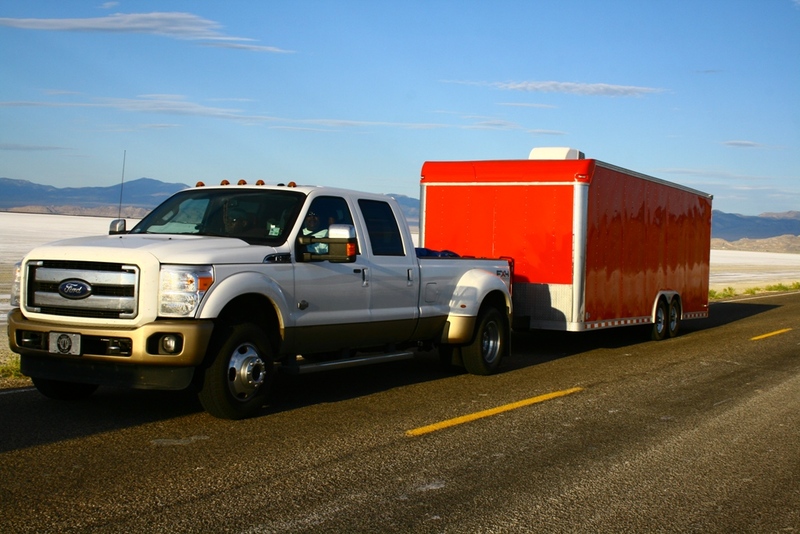 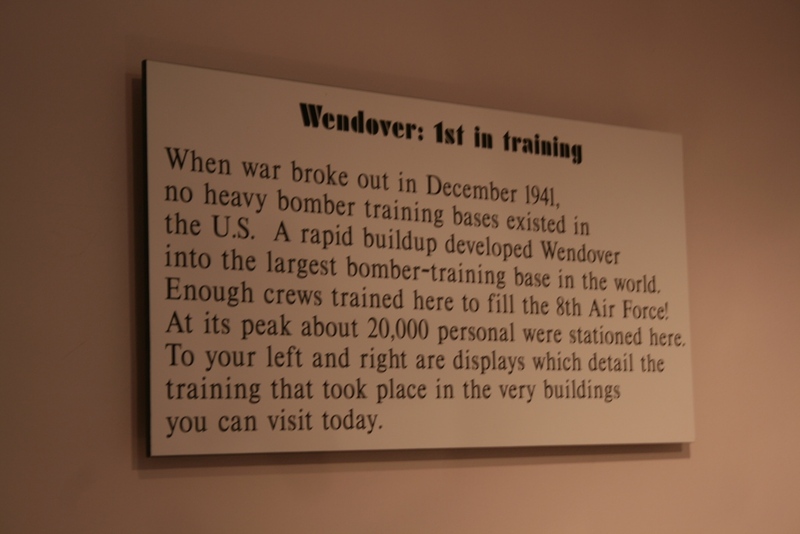 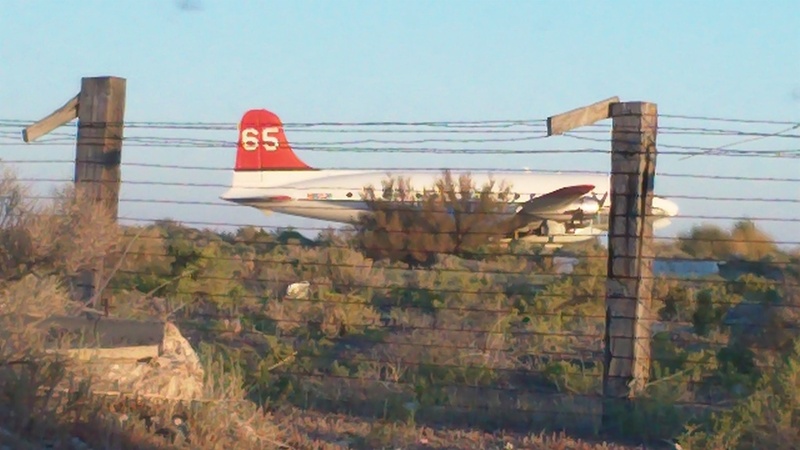 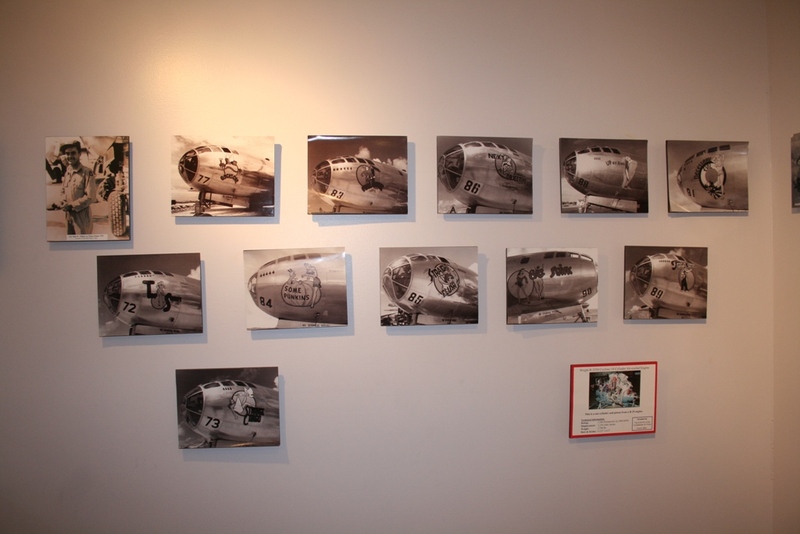 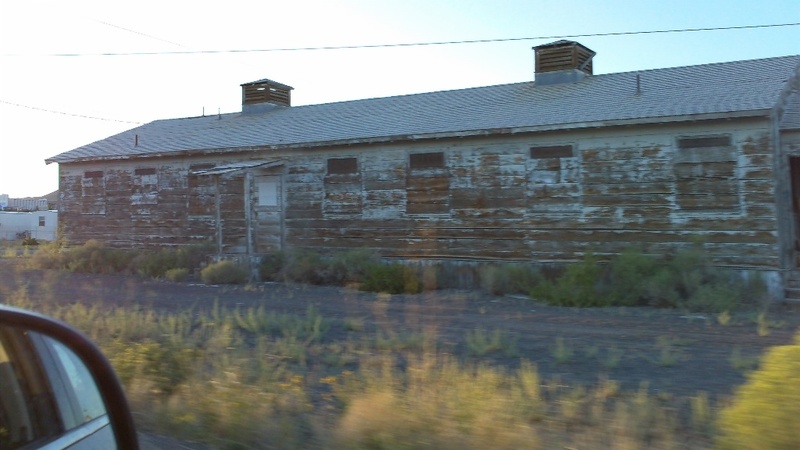 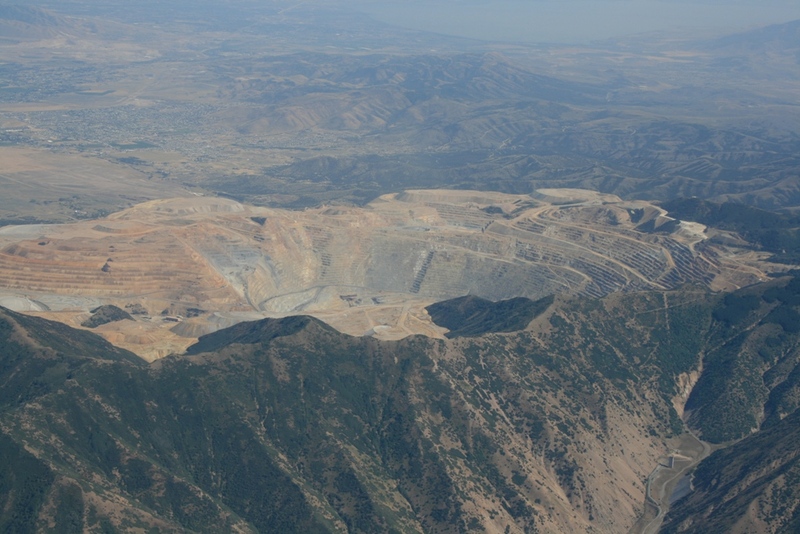 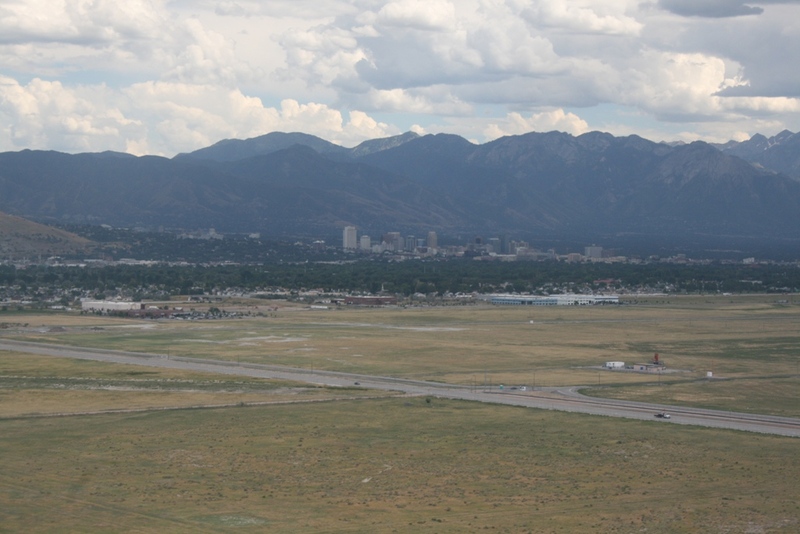 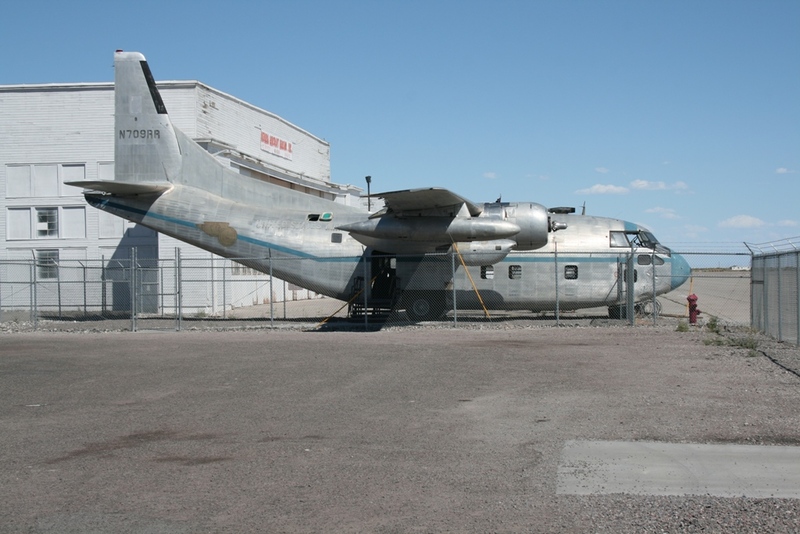 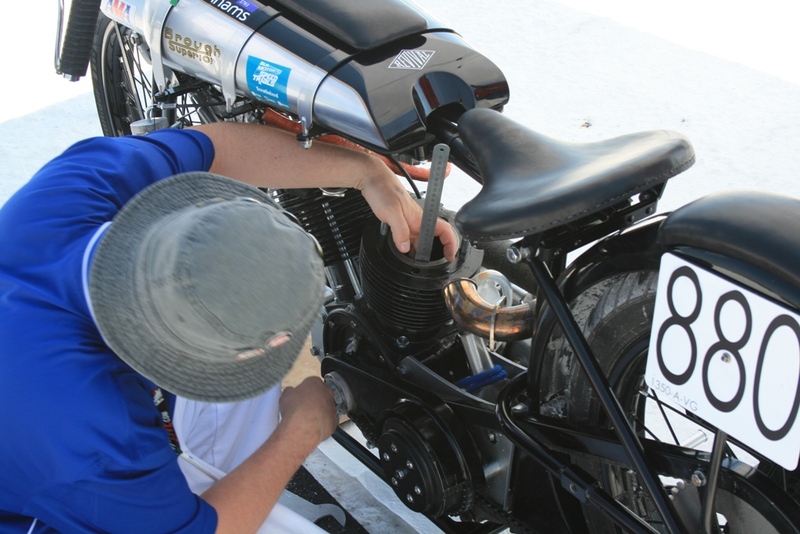 Though not badly hurt the project had to be abandoned. 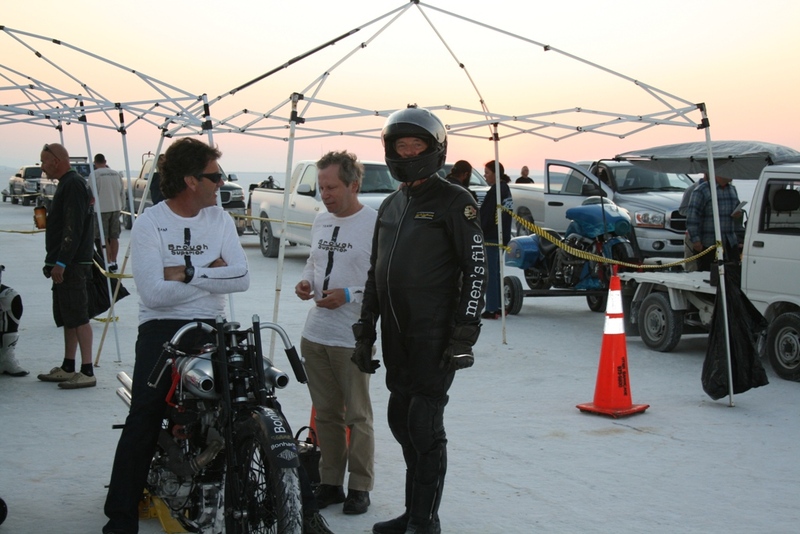 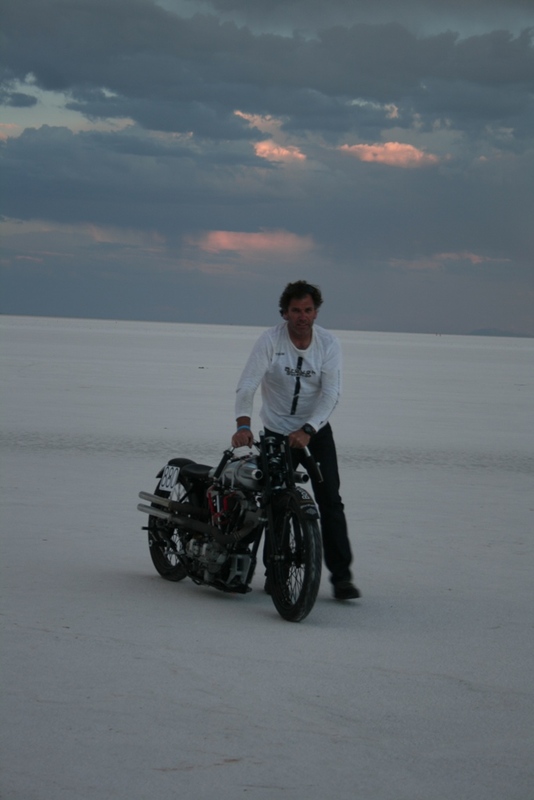 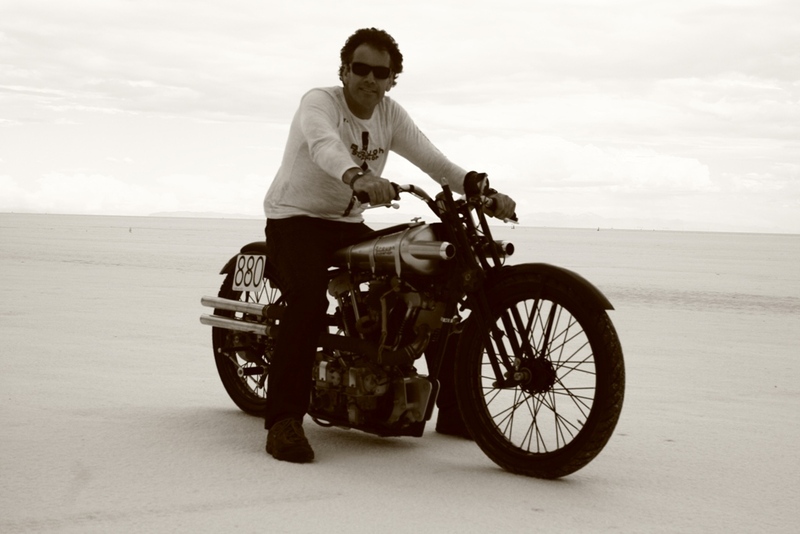 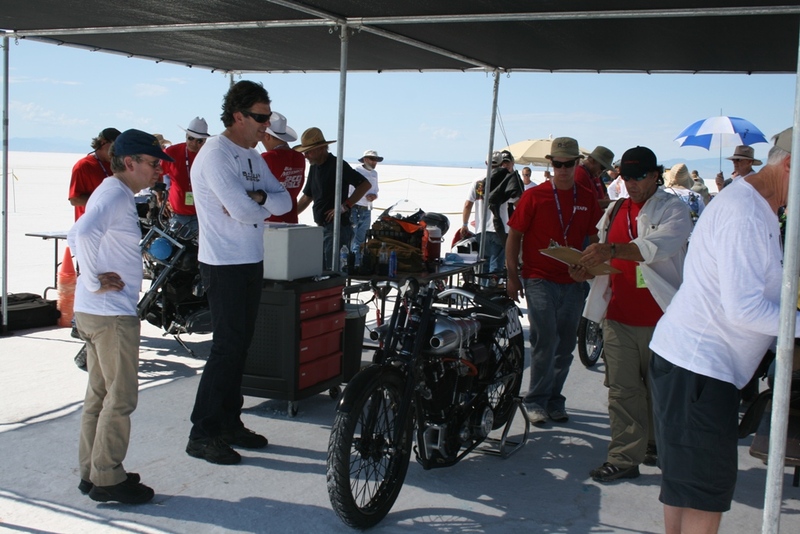 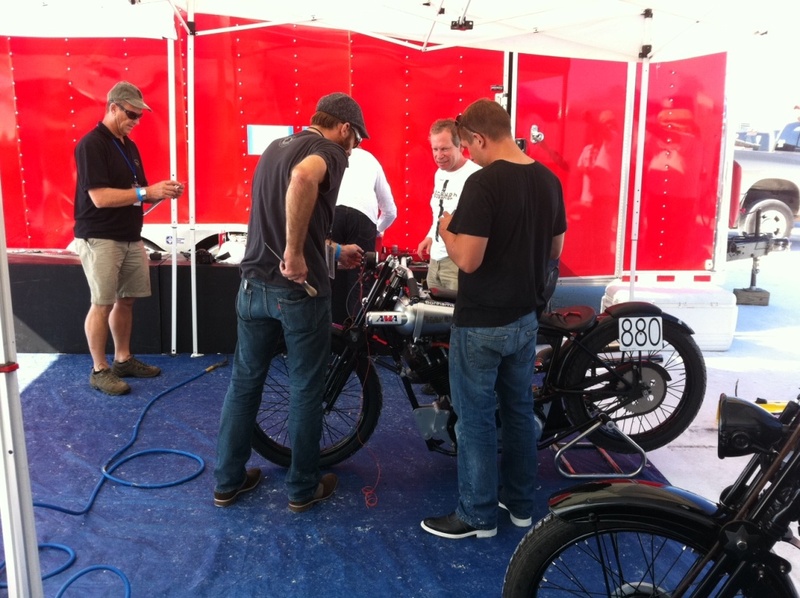 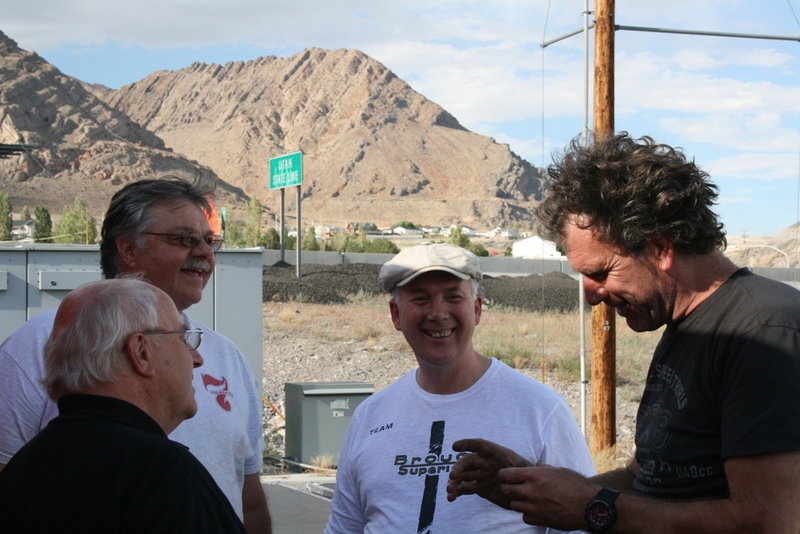 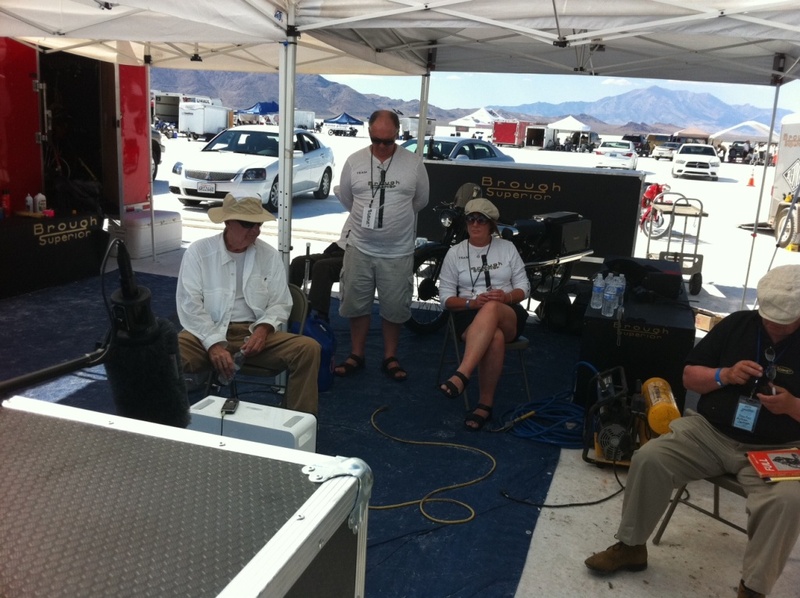 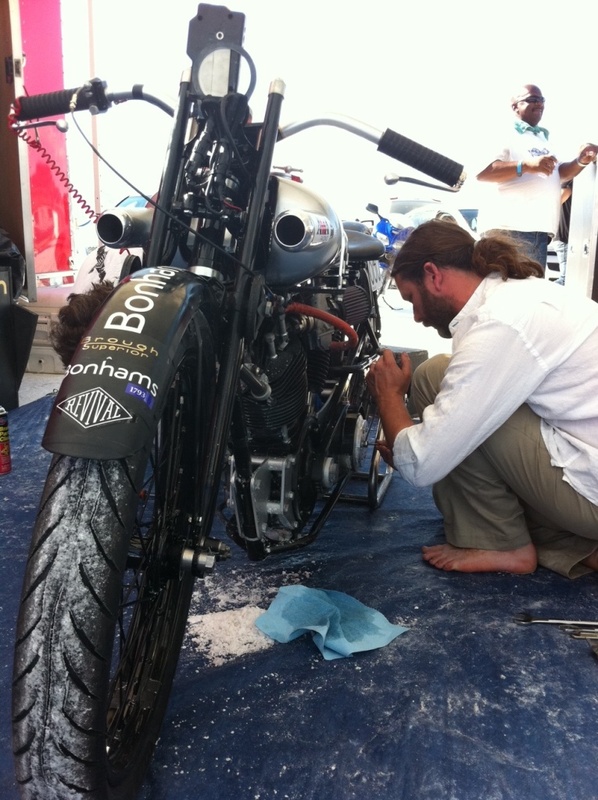 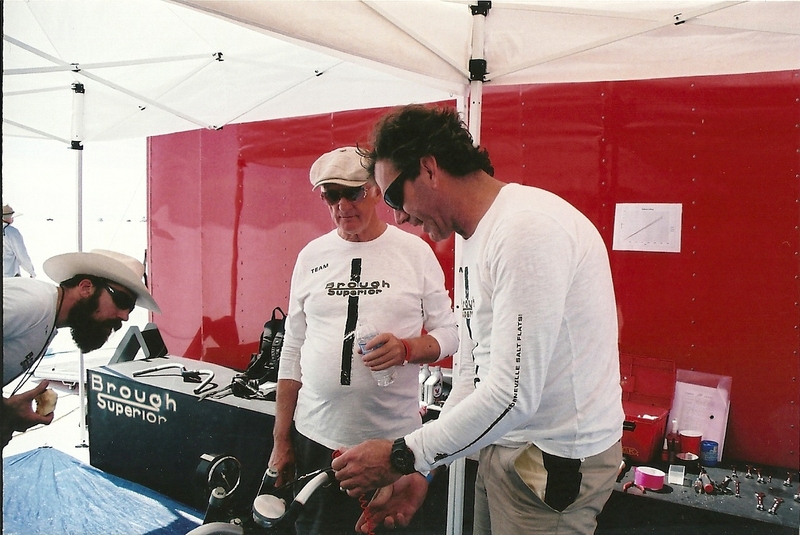 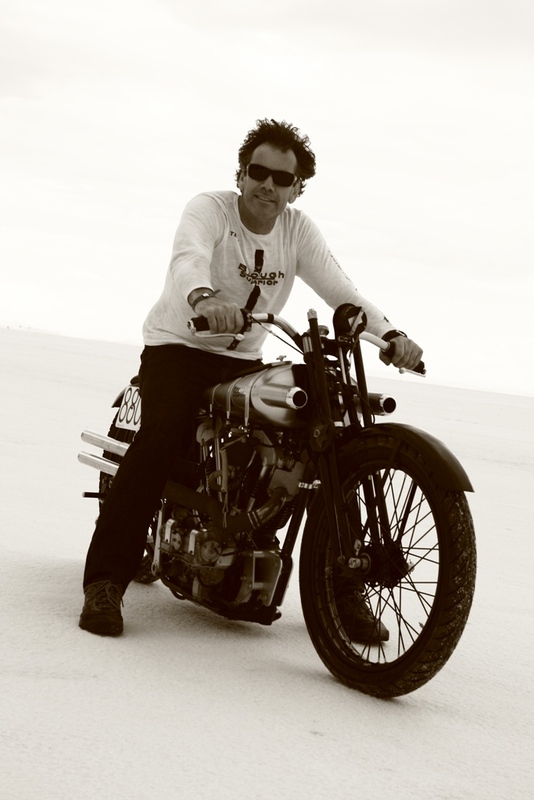 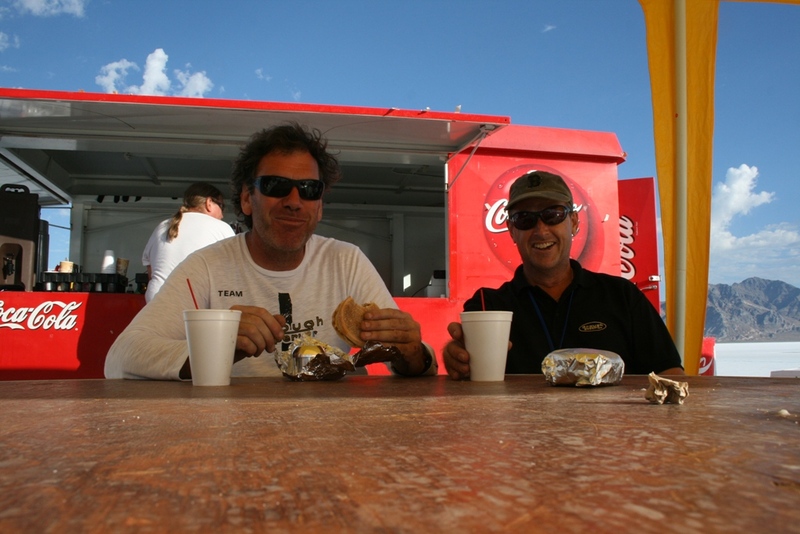 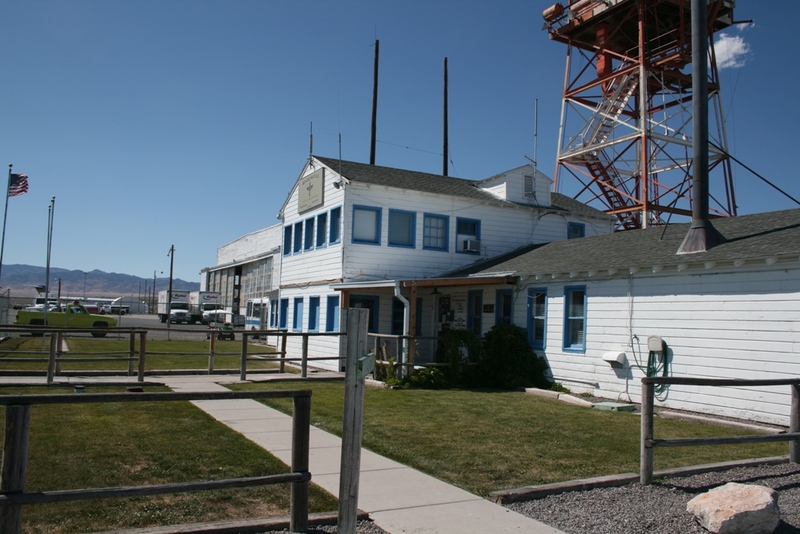 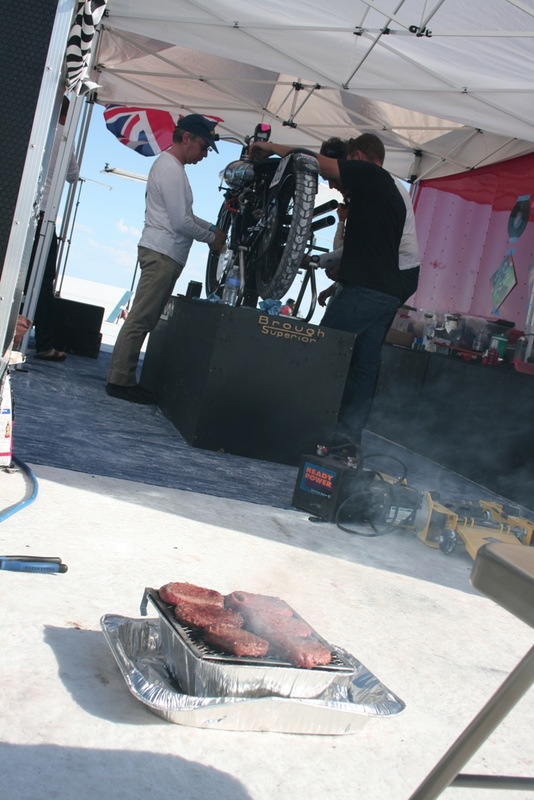 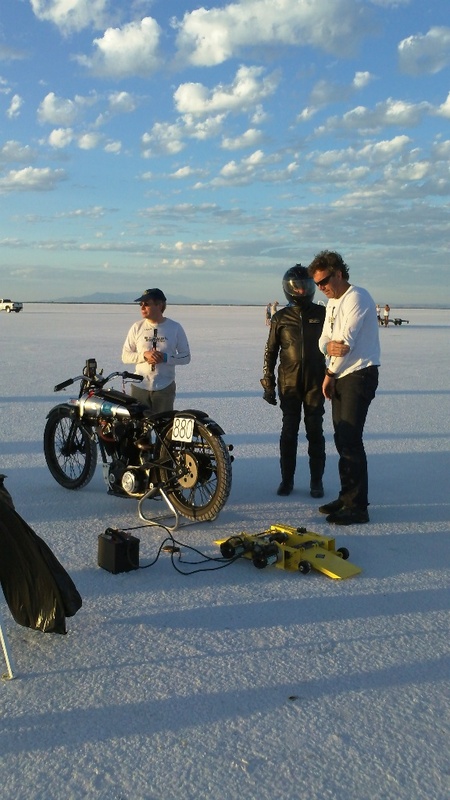 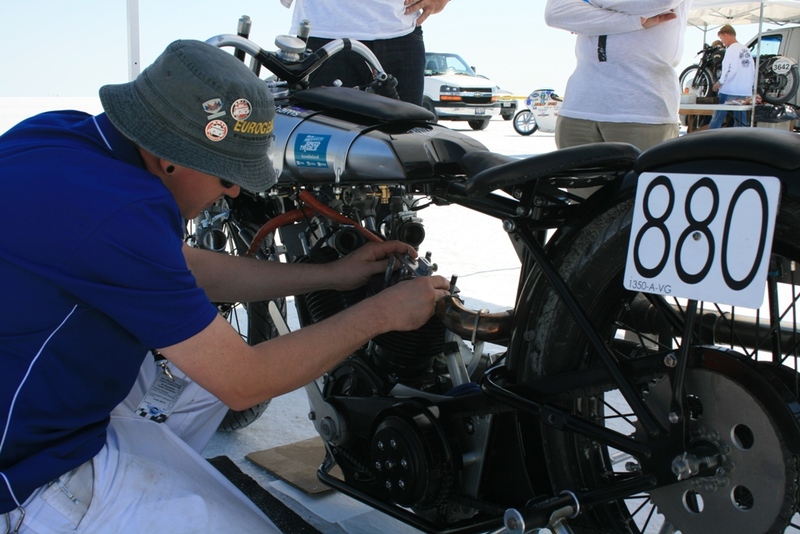 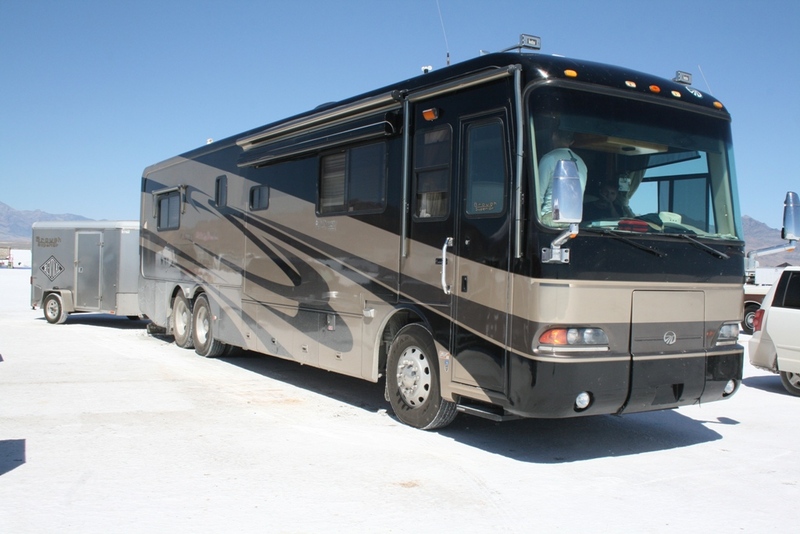 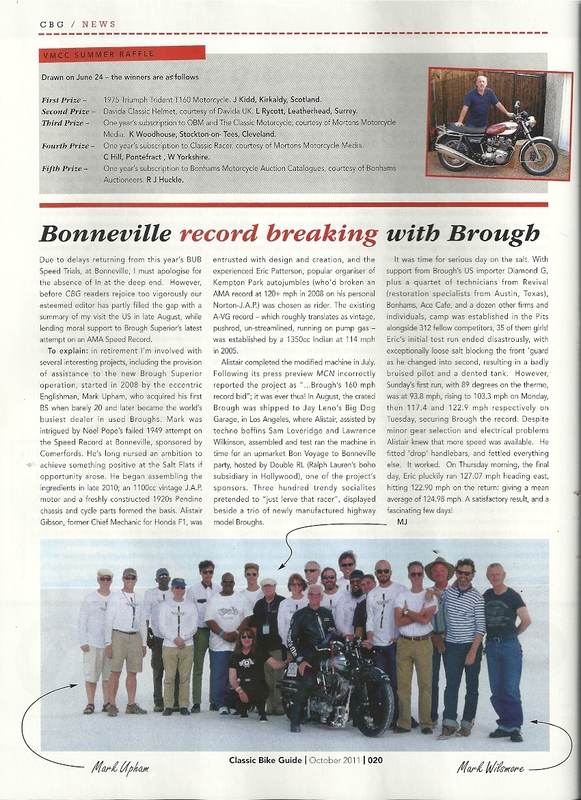 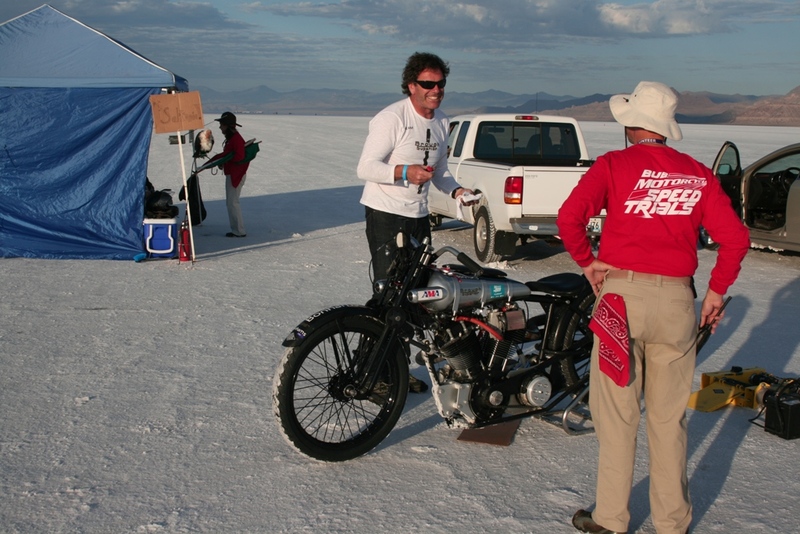 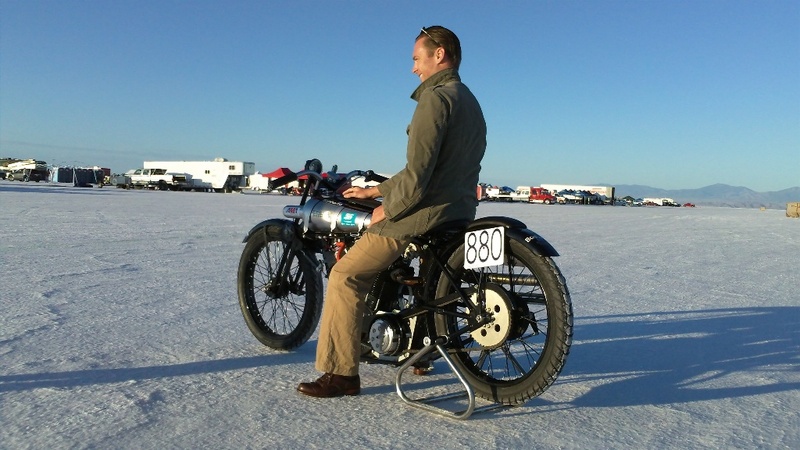 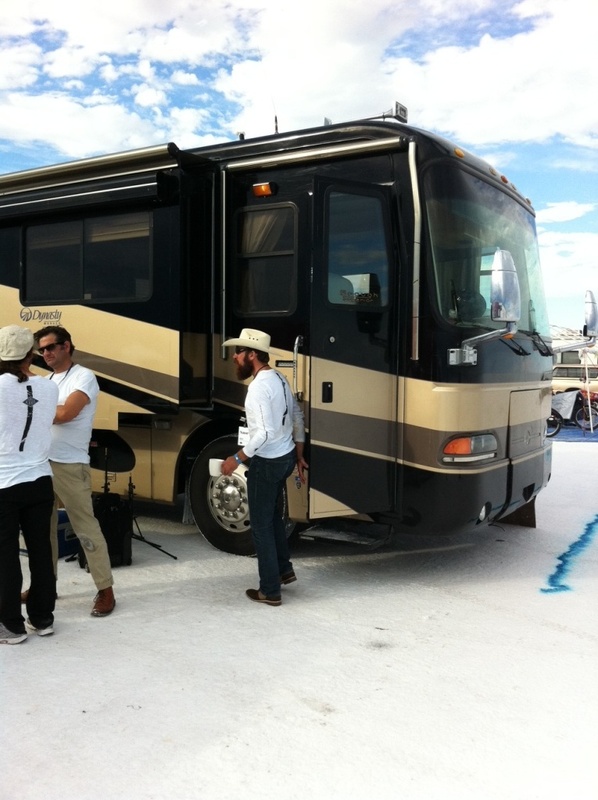 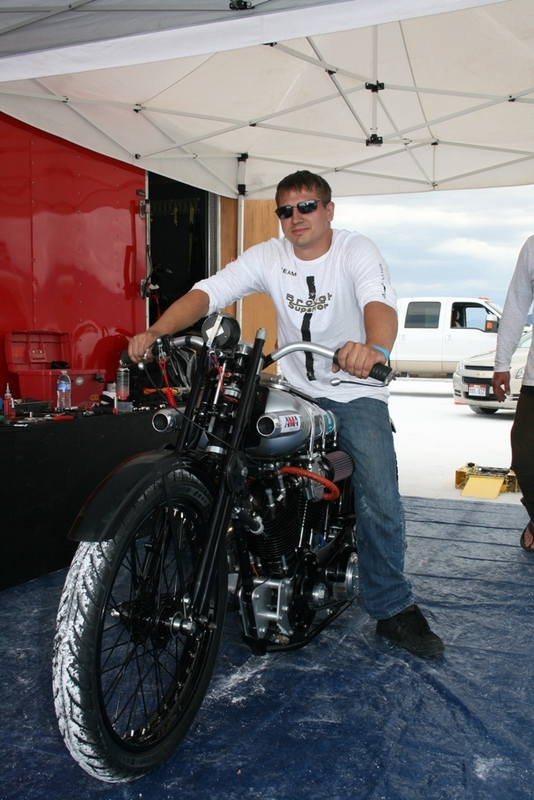 Brough, if you like, has unfinished business at Bonneville. 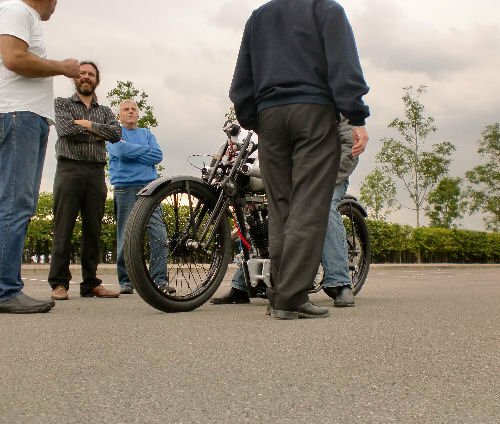 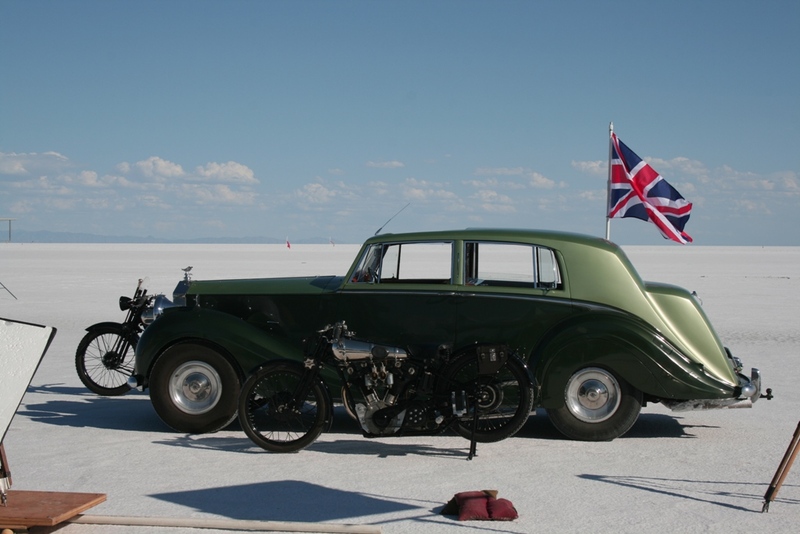 Mindful of the engineering challenge Brough Superior will revisit Bonneville in August 2011 with a newly constructed Brough Superior SS100 Retro. 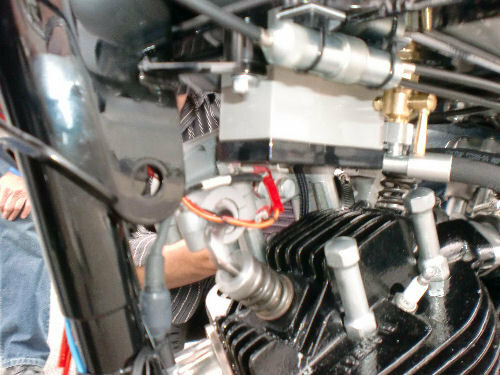 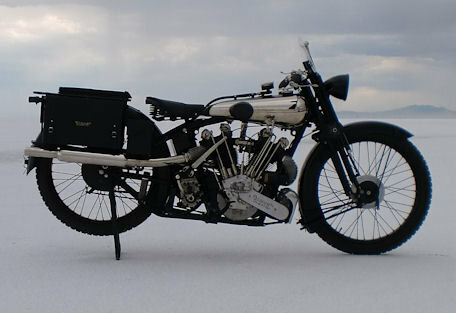 Targeting the VGA Vintage Class for rigid frame, girder forks, and un-streamlined, the Brough will run on pump gasoline. 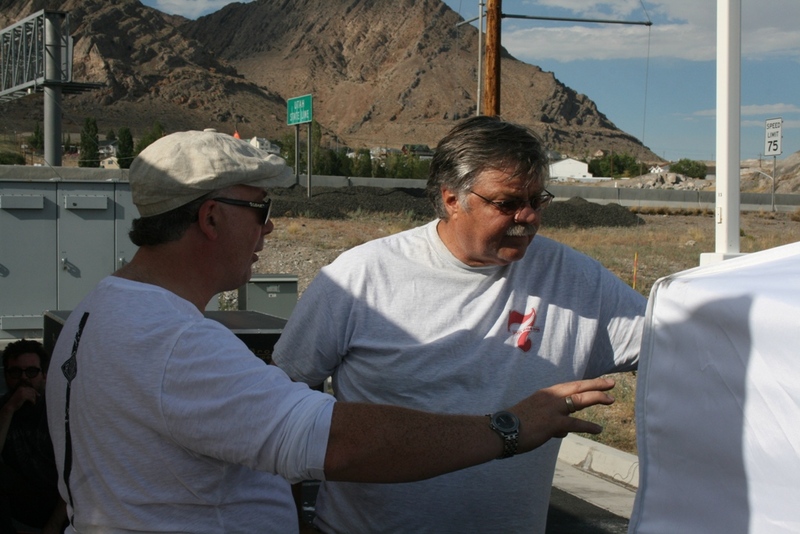 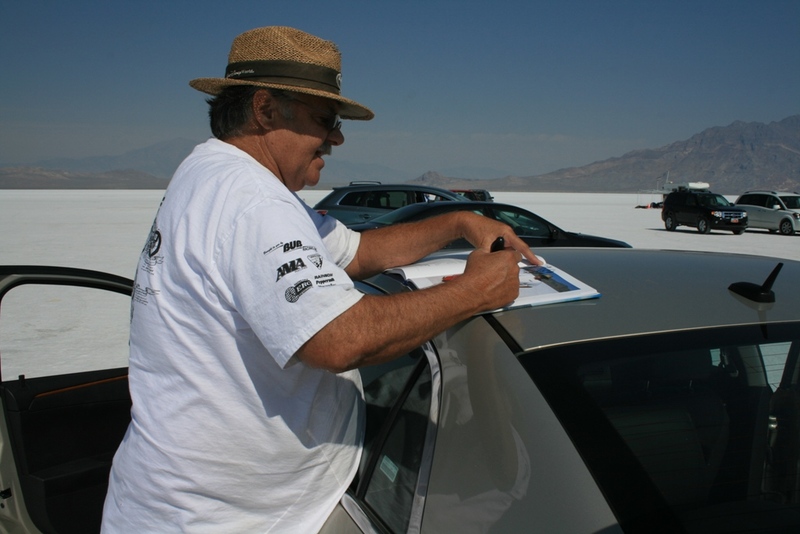 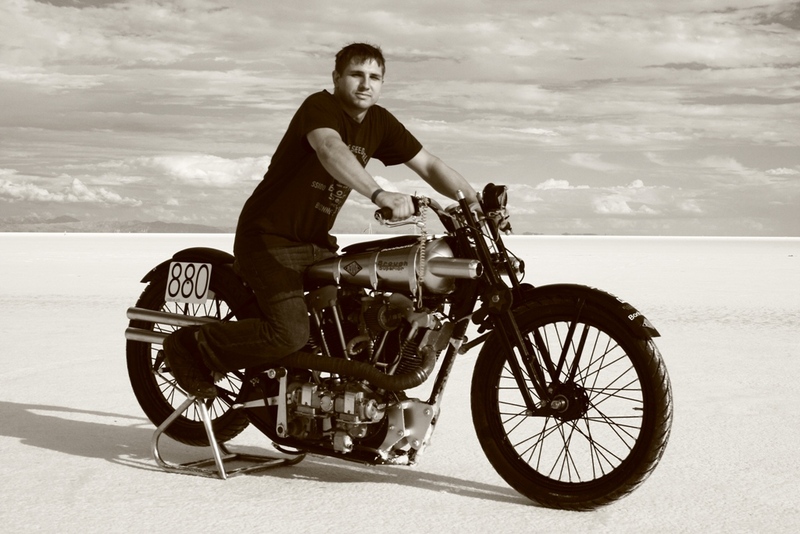 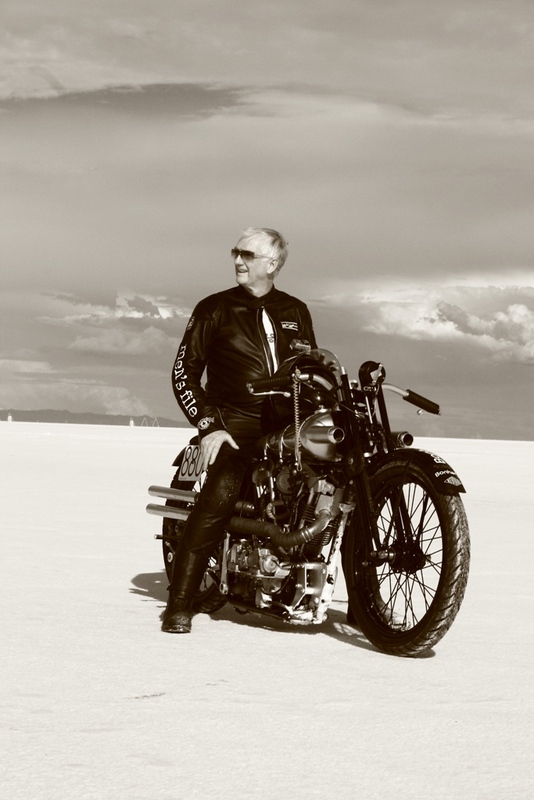 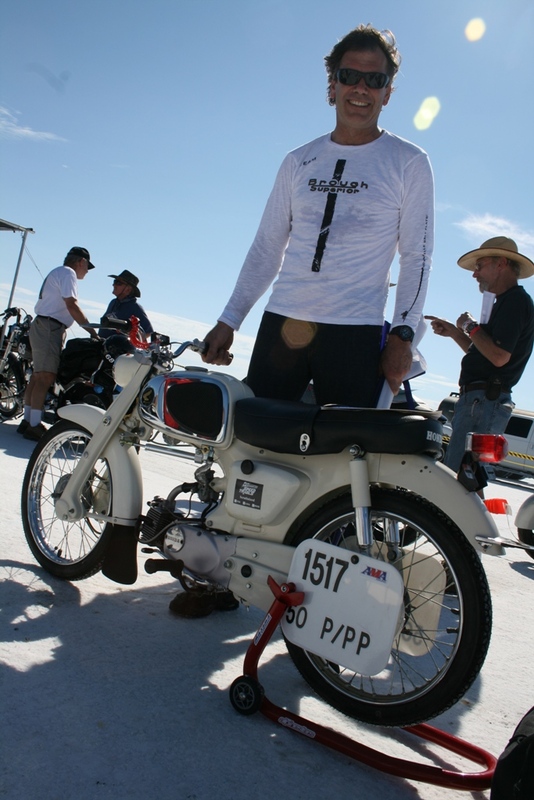 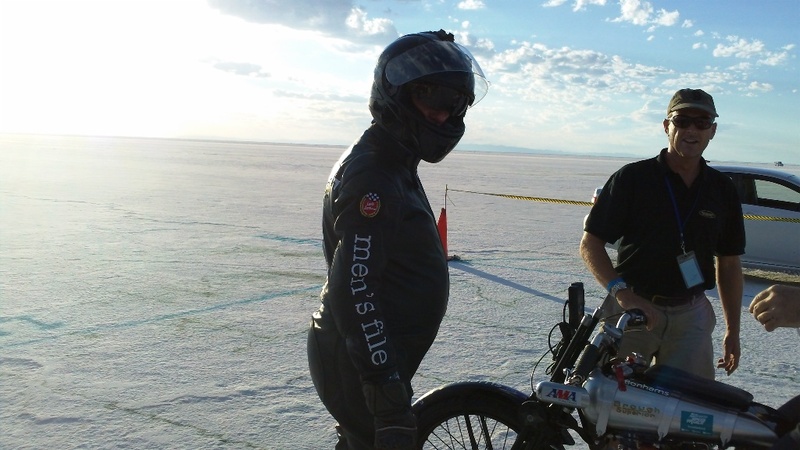 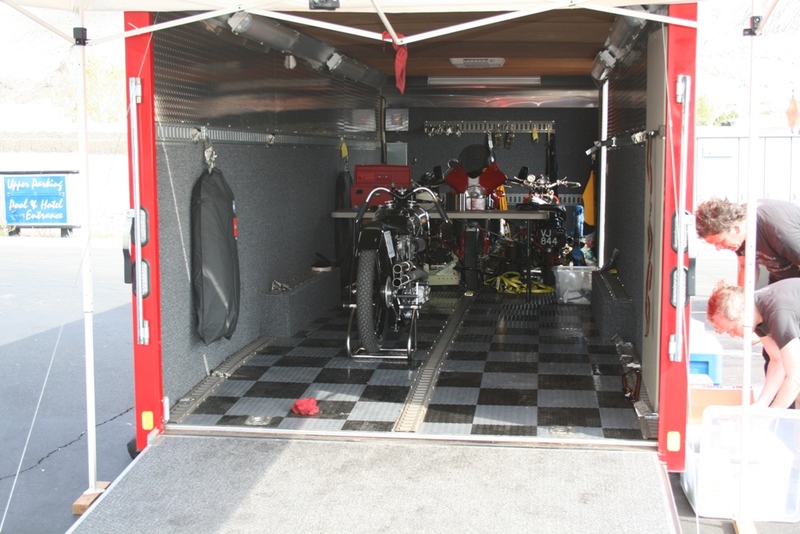 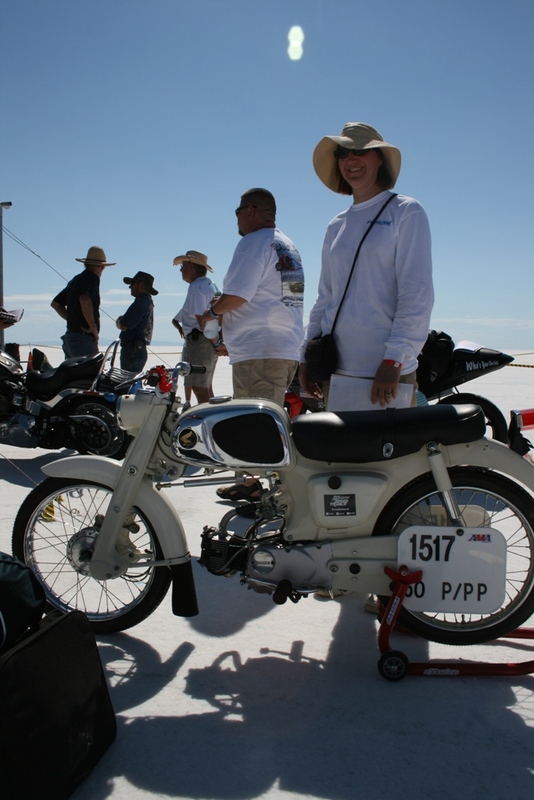 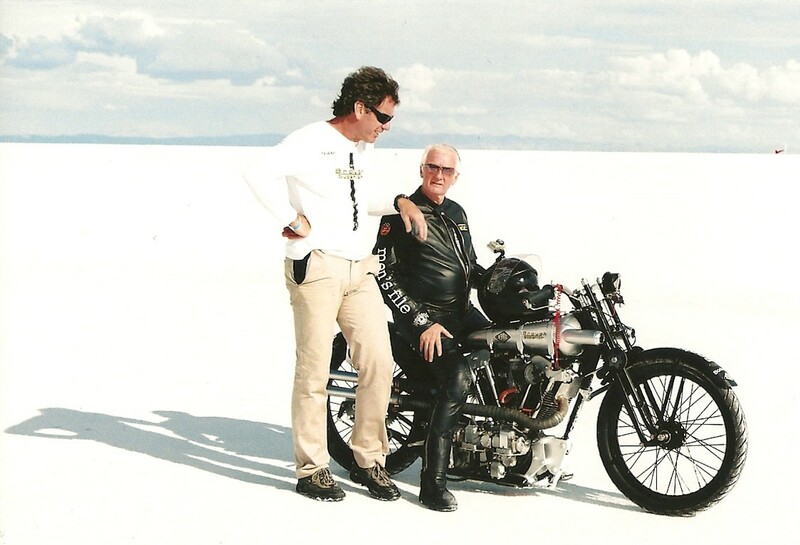 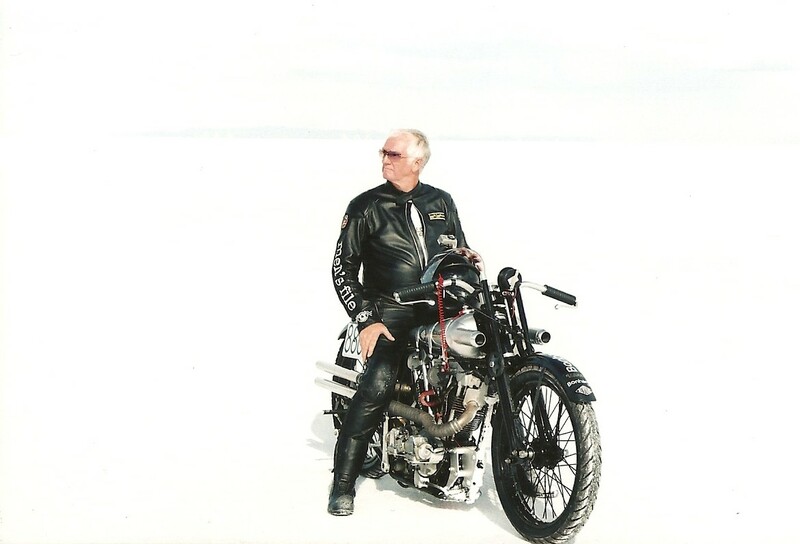 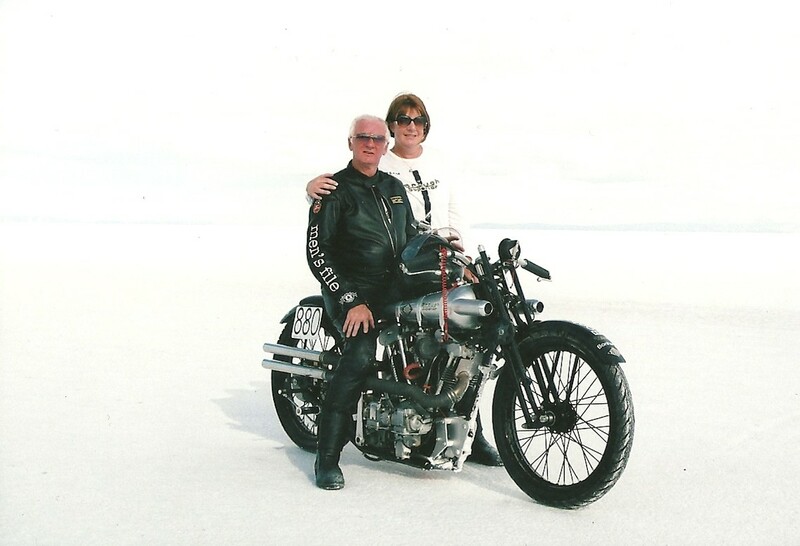 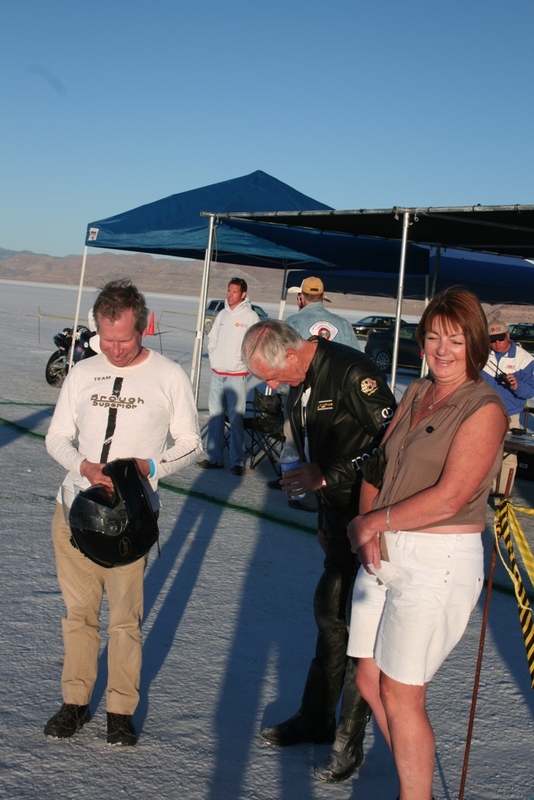 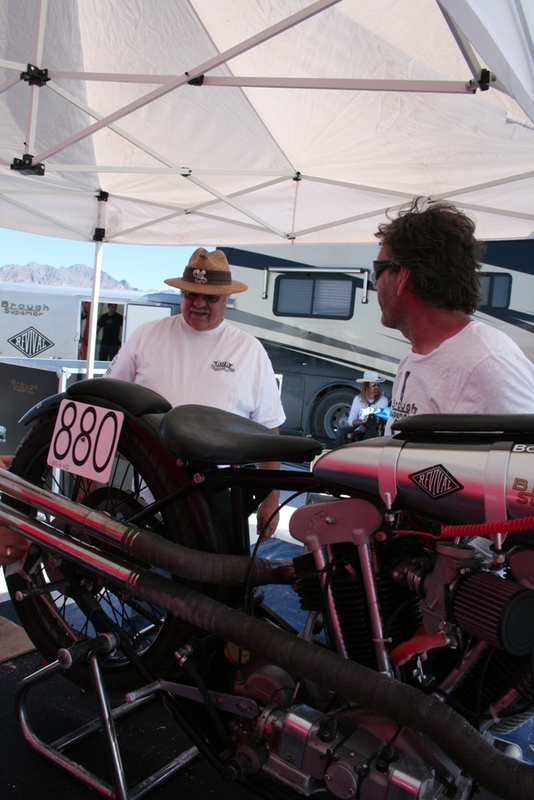 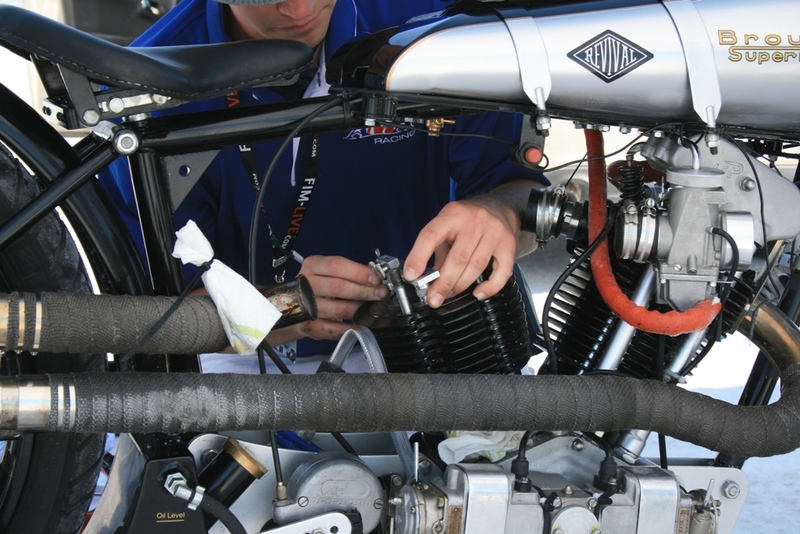 Piloting the 1150cc machine, will be the experienced English rider Eric Patterson, who achieved his first LSR at Bonneville in 2008 on his own Norton, in the pre-1956 pushrod Production Category at 121.79 mph. 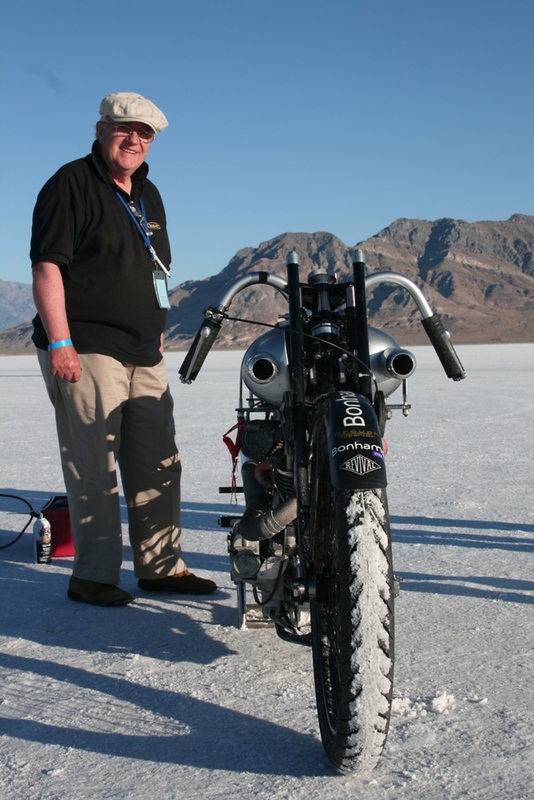 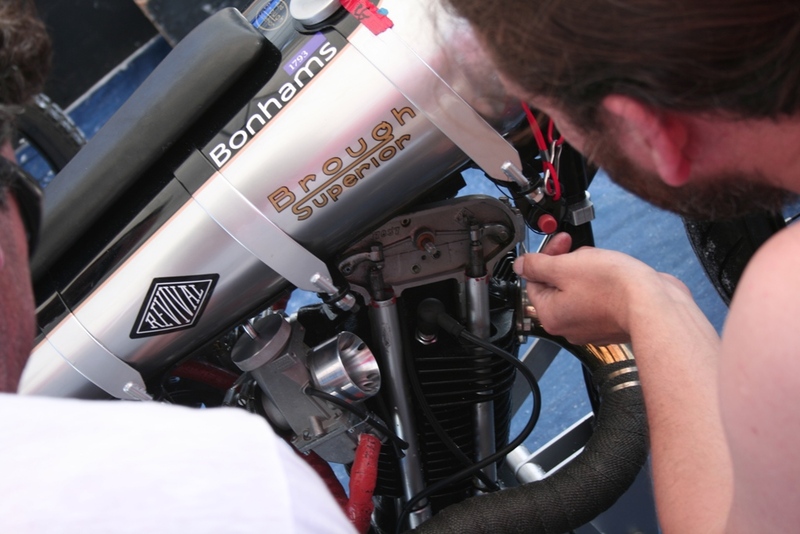 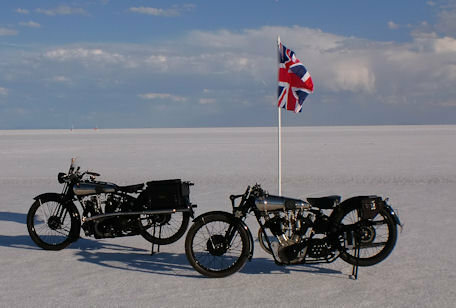 Mark Upham, Brough Superior's CEO, says, “We are under no illusions concerning the setbacks we will encounter on our first visit to Bonneville which, to us, is the Blue Riband of competition. 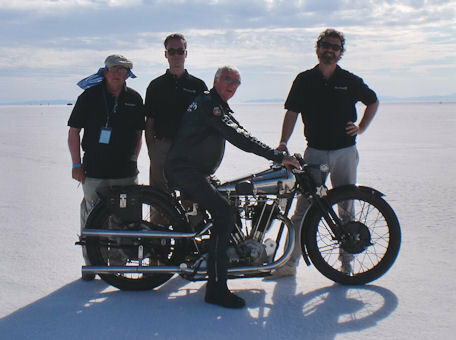 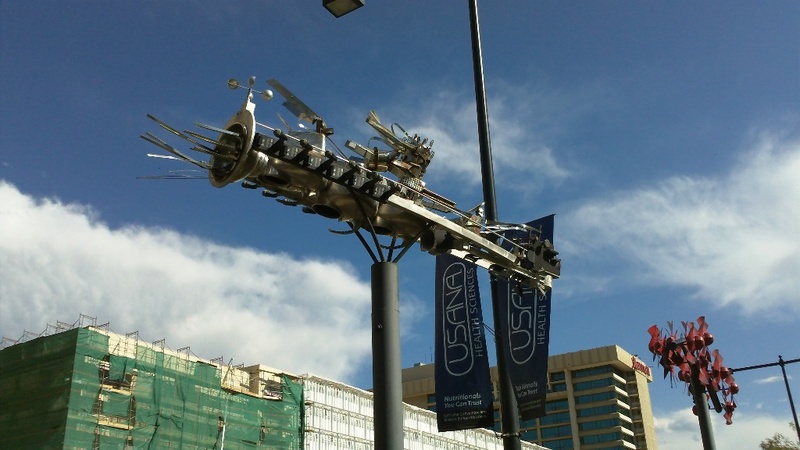 But, with such a beautiful product – and the care that Alastair has invested – I am confident of success!” Mark went on to thank the group of sponsors [see listing below] without whose help and enthusiasm this project would not have been possible. 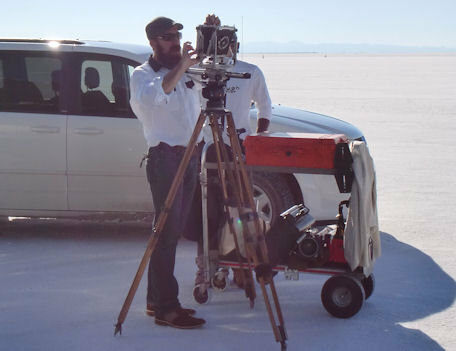 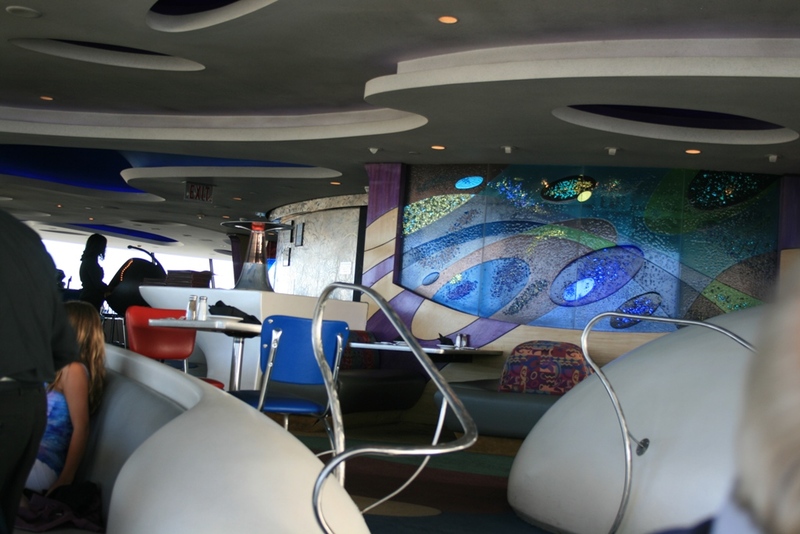 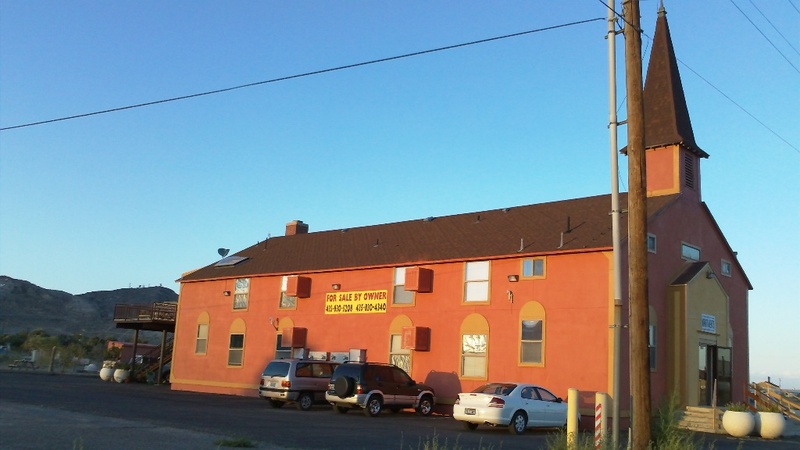 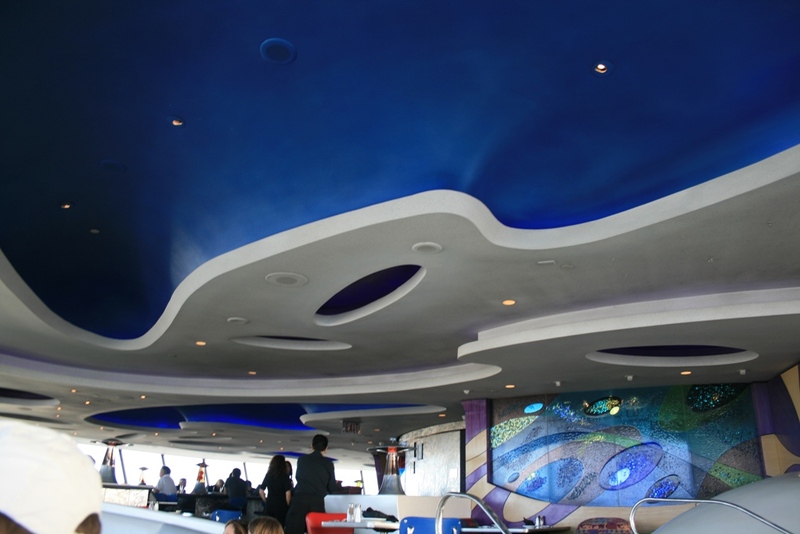 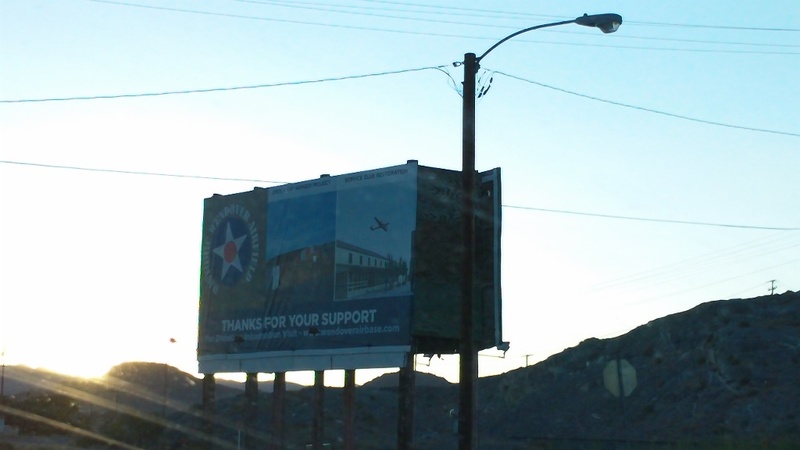 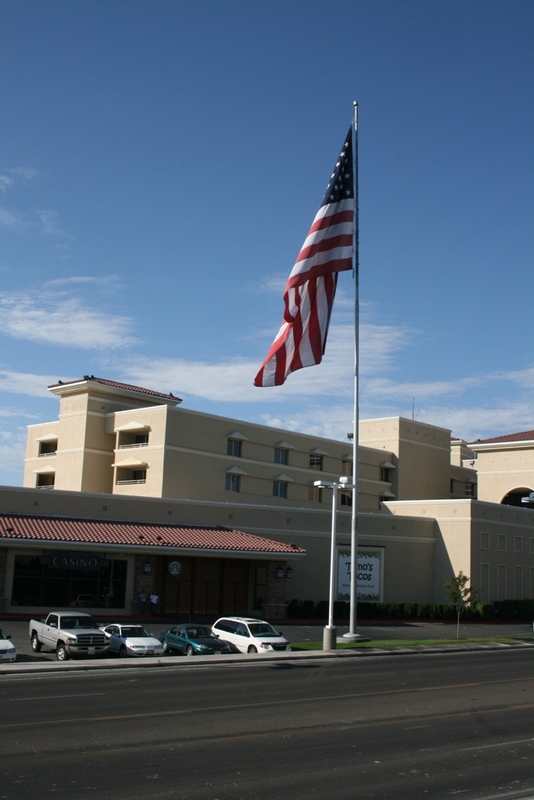 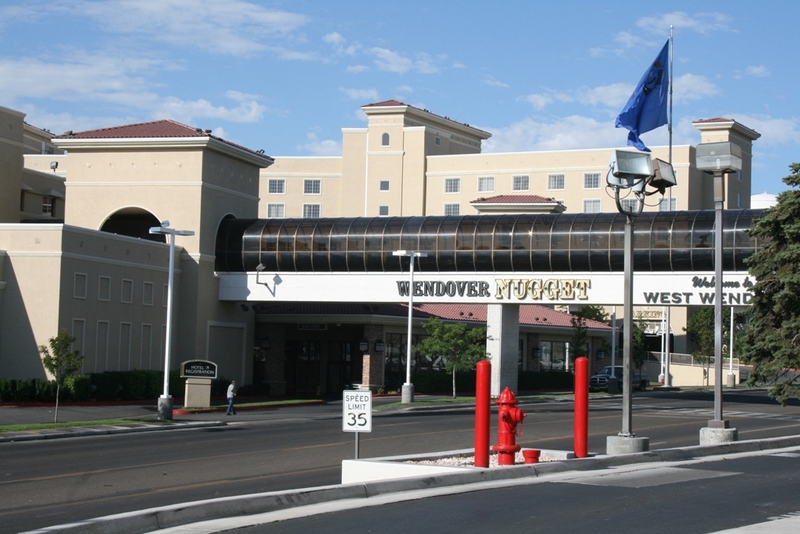 Andrew Paul, special thanks for your generous support. 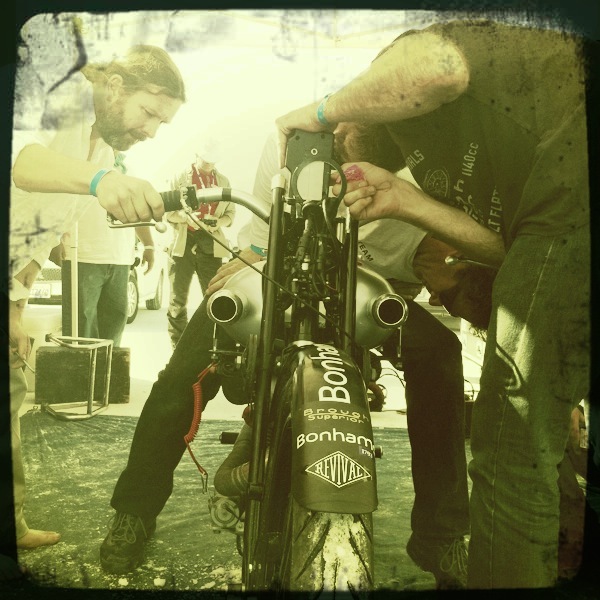 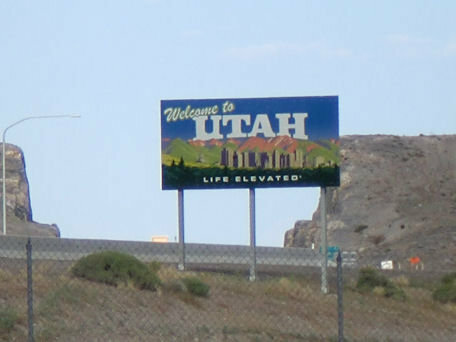 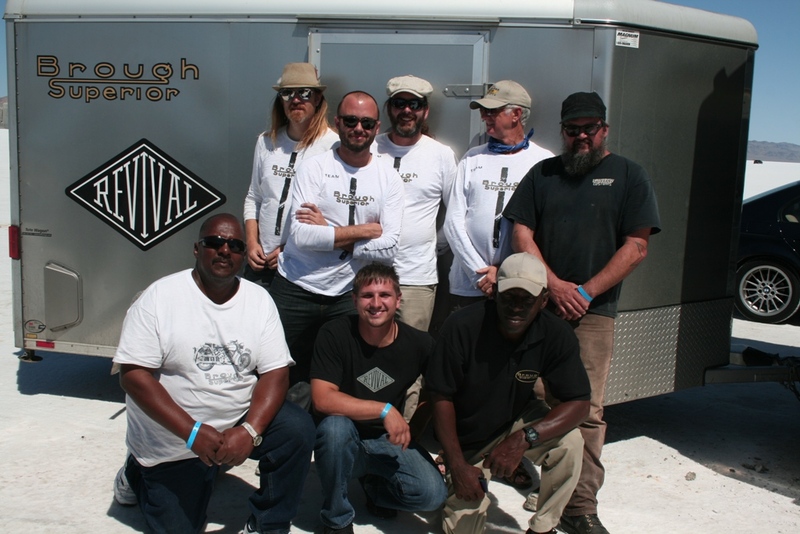 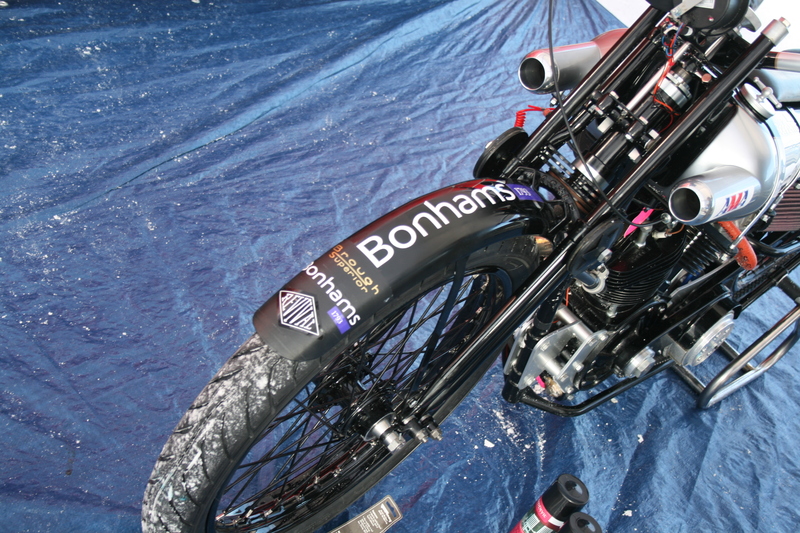 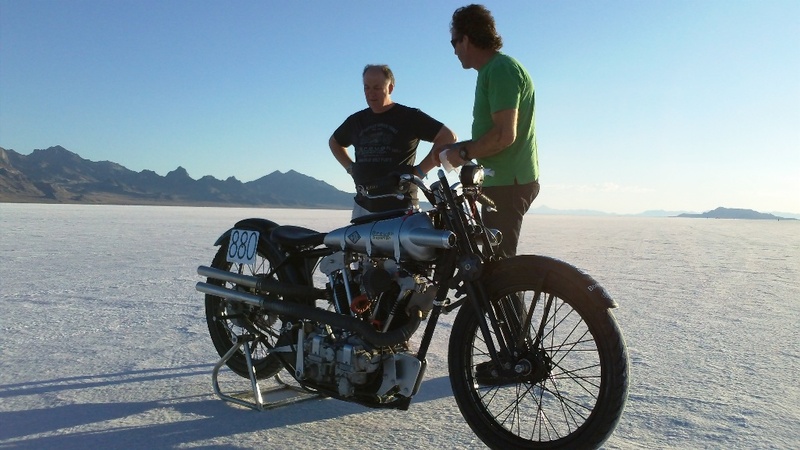 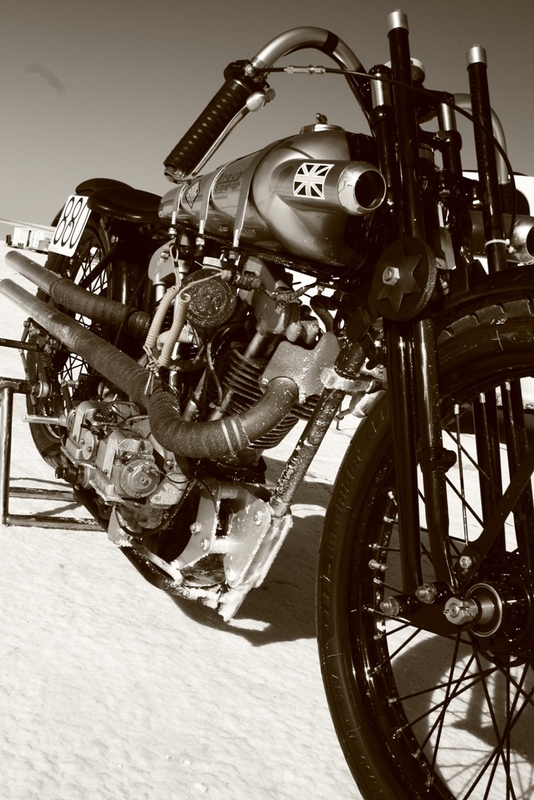 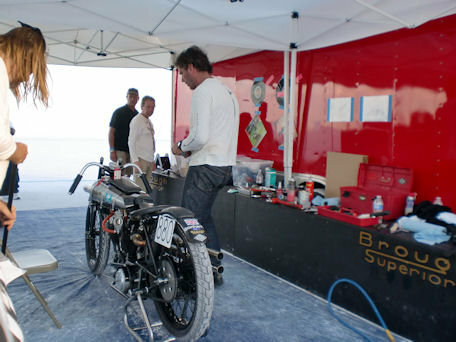 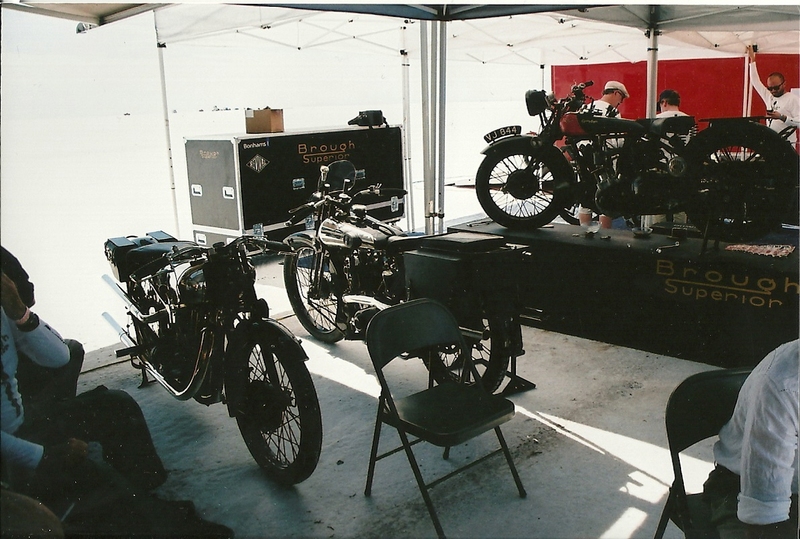 The "Retro Brough Superior" will be on display at the Double RL store in Los Angeles on the 24th of August 2011, prior to shipment to the Bonneville Saltflats. 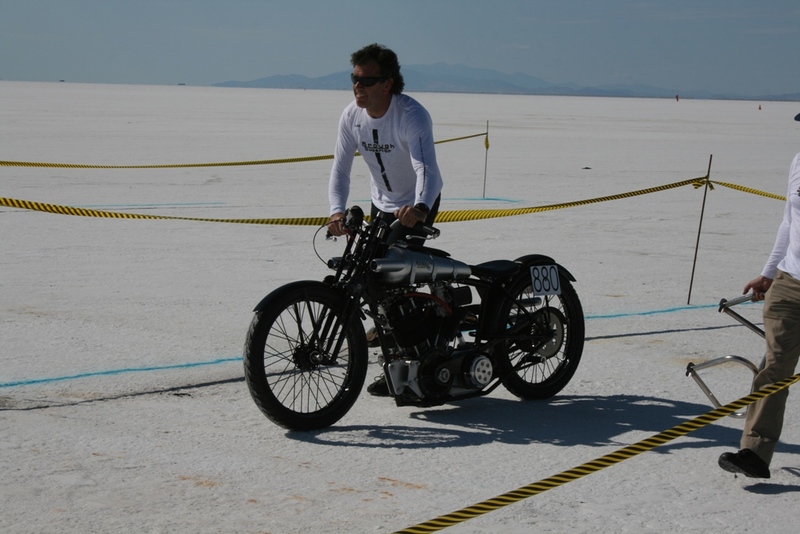 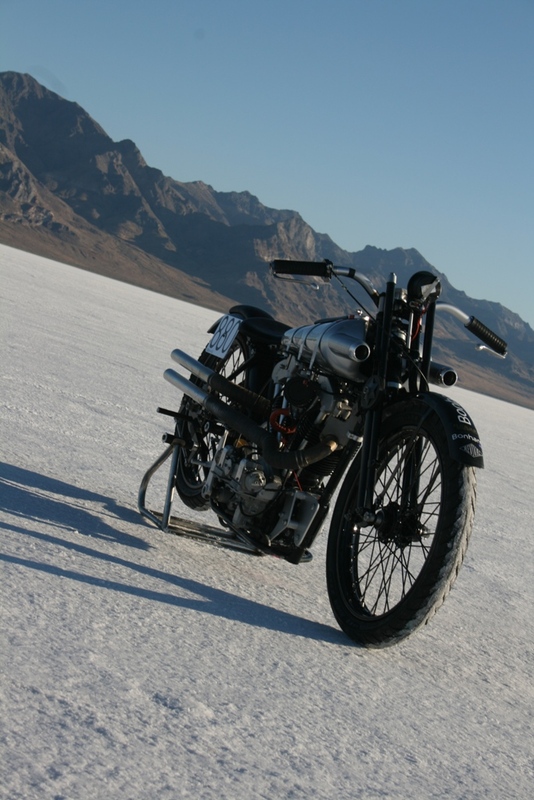 BROUGH AT BONNEVILLE from "THE VINTAGENT"
The specially constructed 1,100cc SS model Brough Superior completed two opposite-direction runs through the measured mile at Bonneville Salt Flats on September 1, 2011, at a mean average speed of 124.98 mph, breaking the AMA 1350-A-VG Speed Record established by a 1350cc Indian in 2005 at 114 mph! 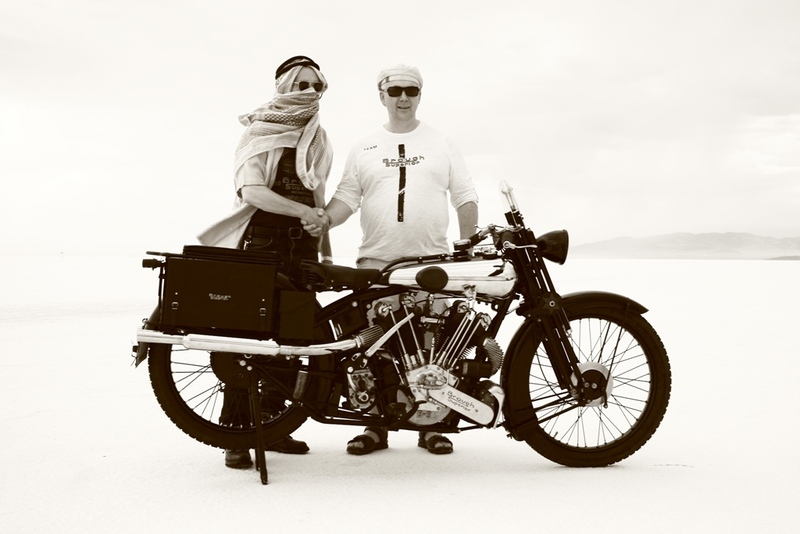 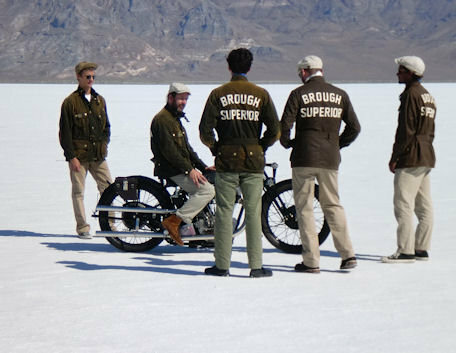 Ace Cafe London is thrilled and privileged to be able to confirm being part of the Brough Superior Team heading out in August to the famous Bonneville salt flats, Utah, USA with a motorcycle based on the iconic 1927 SS100, a machine sharing heritage and fame with a Col. T.E. 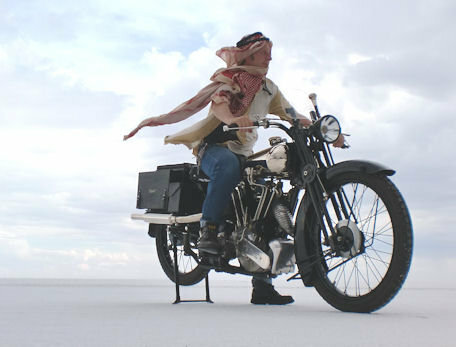 Lawrence - "Lawrence of Arabia". 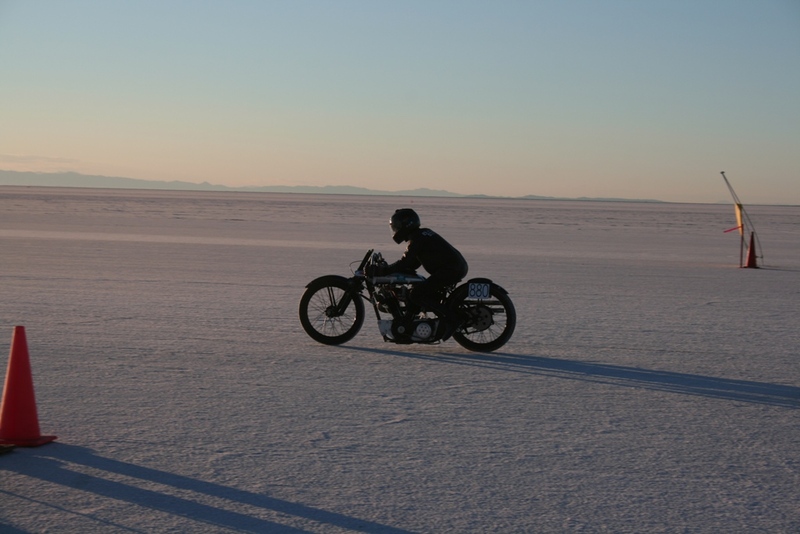 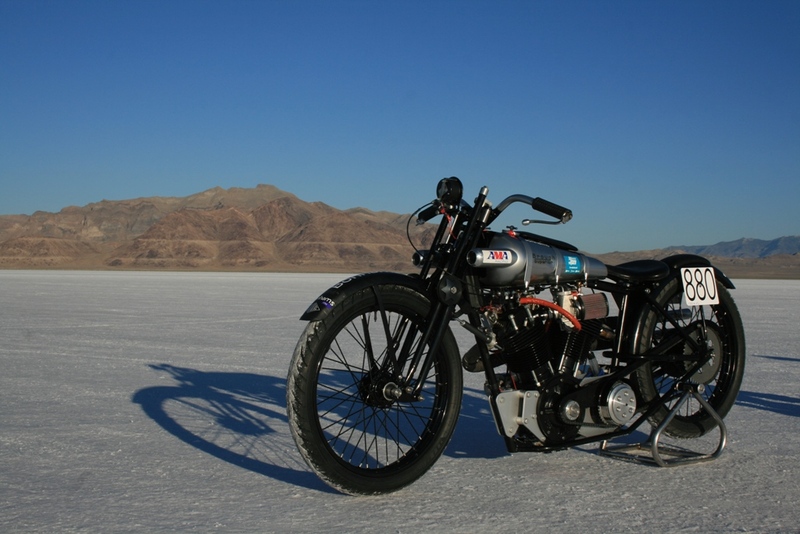 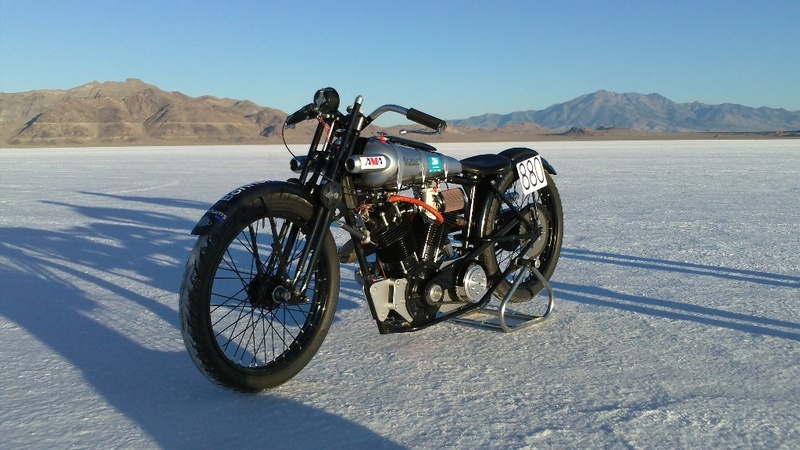 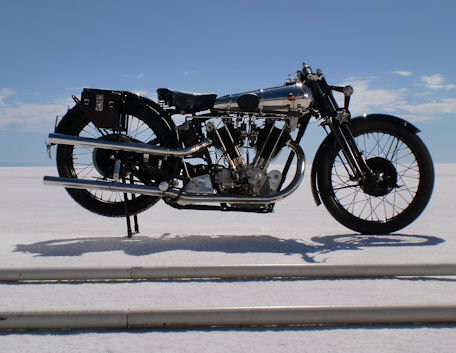 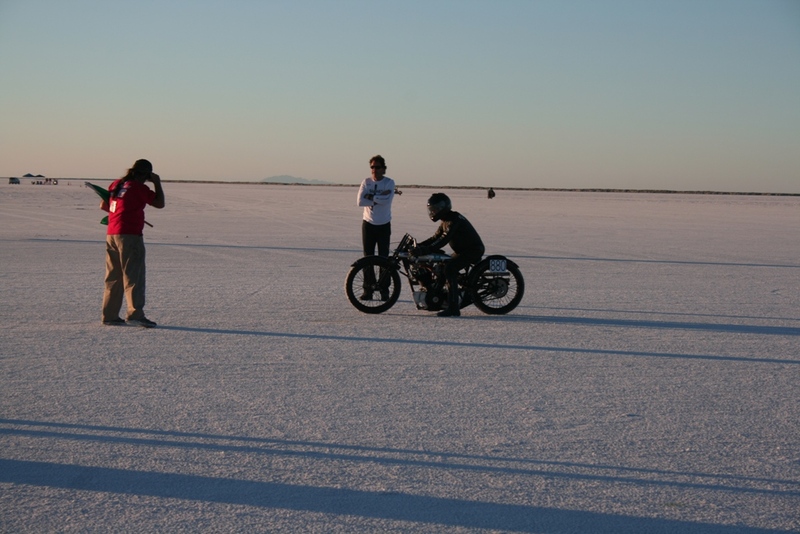 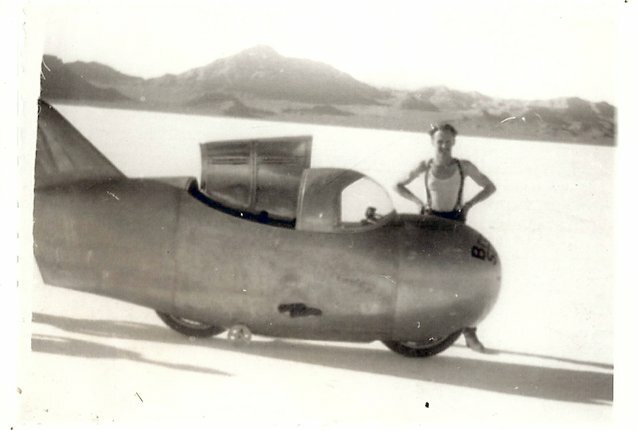 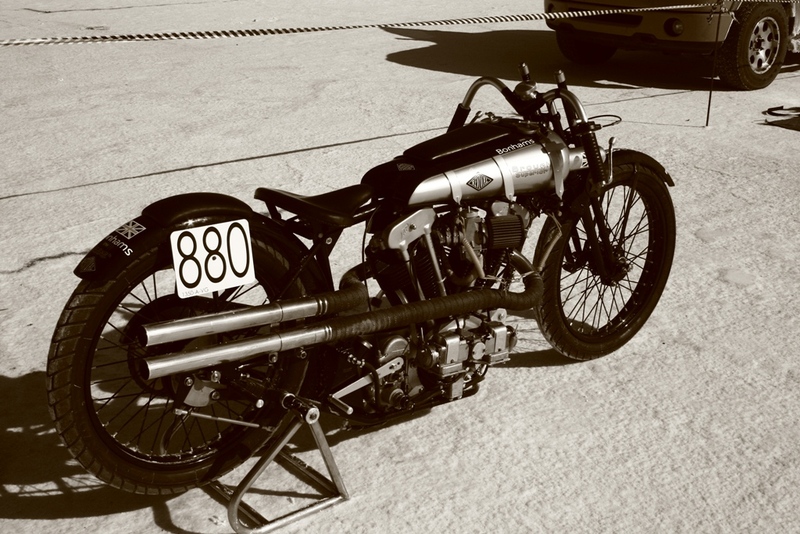 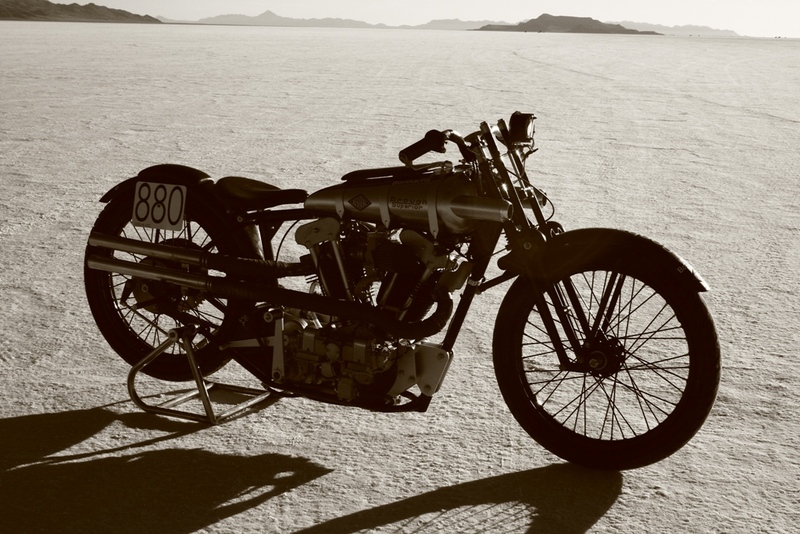 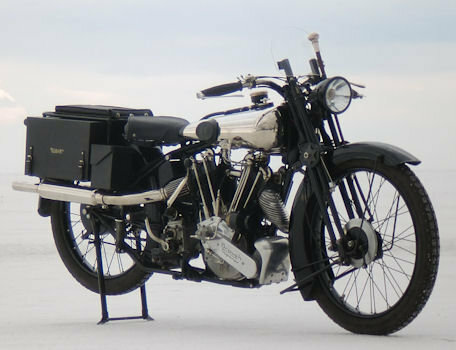 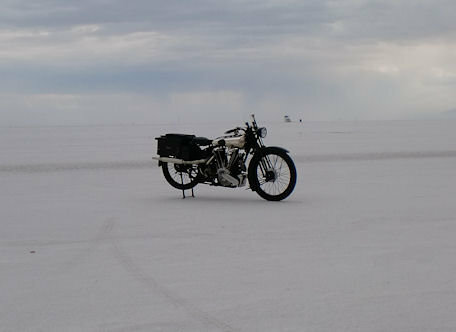 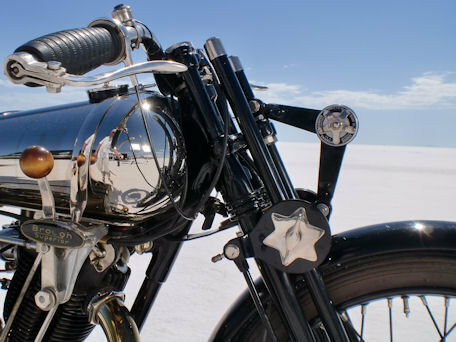 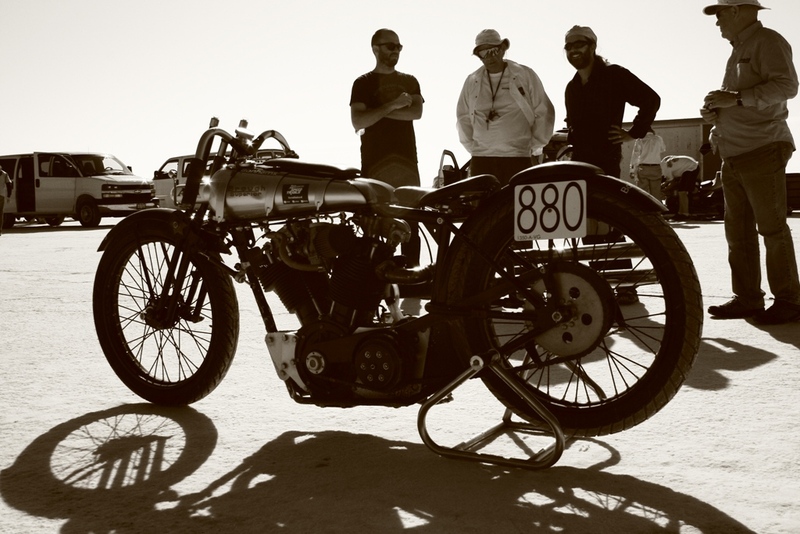 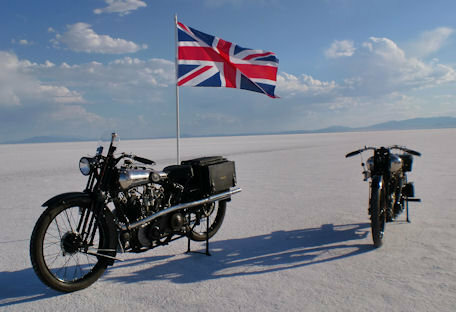 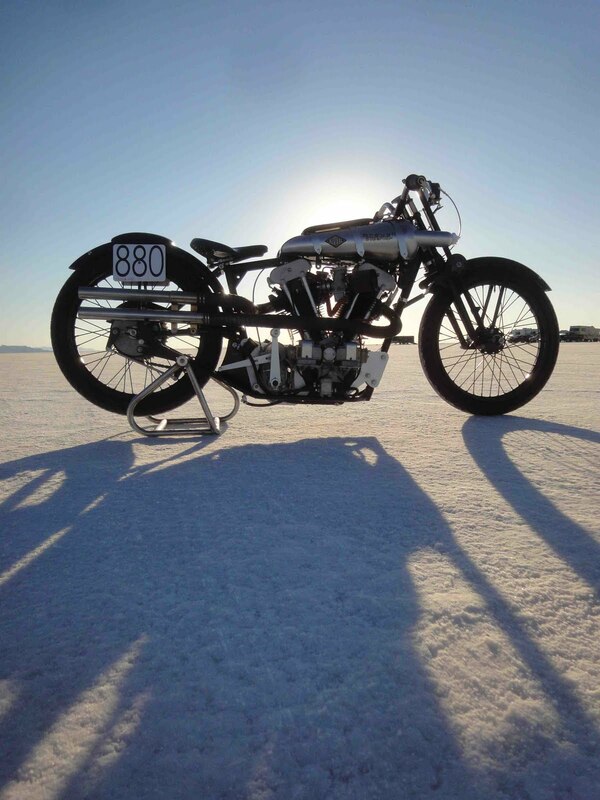 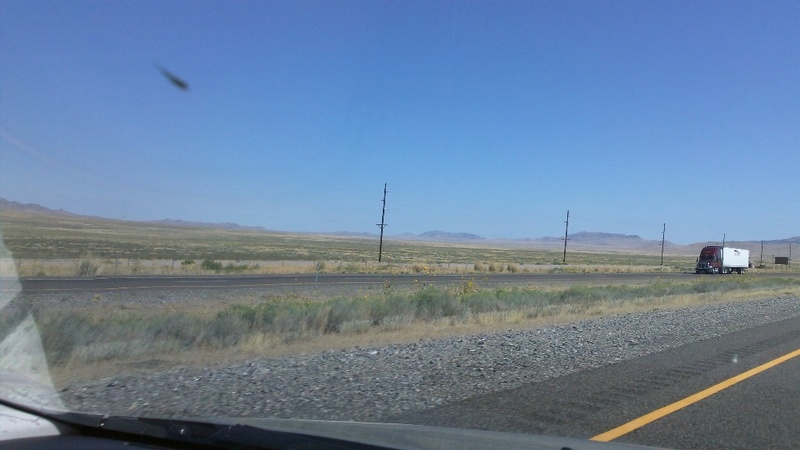 Fully 62 years later, a factory-backed speed record attempt by Brough Superior coalesced on the vast white plain of the Bonneville Salt Flats. 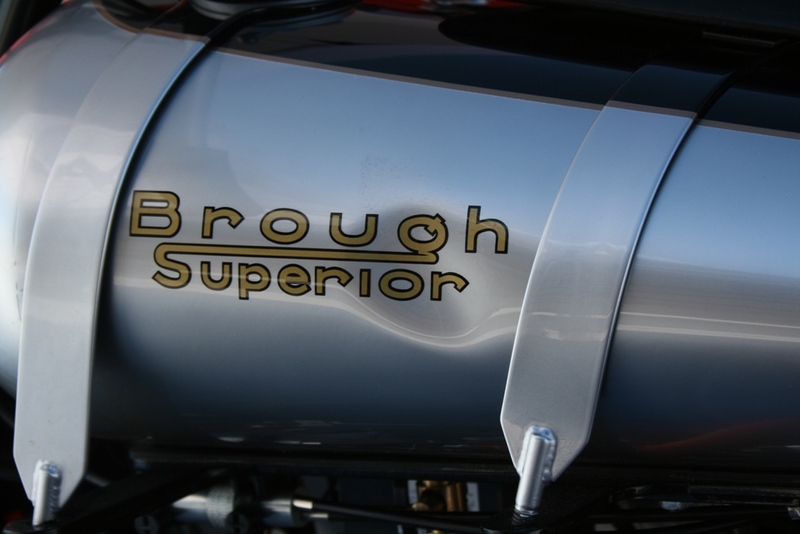 The Brough name has been in continuous usage since George Brough himself last assembled a motorcycle in the late 1940s; GB maintained an engineering works for years, then sold the name to new owners, who each hoped to resume production of the grandest name in motorcycling. 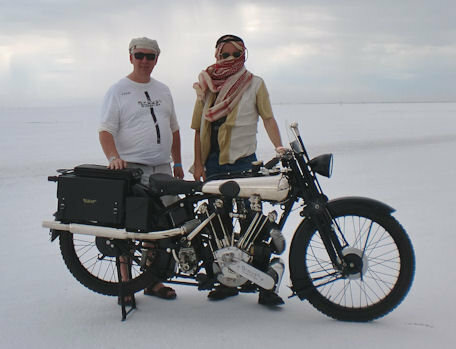 I was standing with Mark Upham the day his own Brough lightbulb lit up; in May 2008 at the Legend of the Motorcycle Concours, Bonhams offered the name and rights for Brough Superior, and Upham, an arch enthusiast of the marque and #1 seller of Broughs in the world at the time (via his shop British Only Austria), decided he would own the name, and resume production himself. 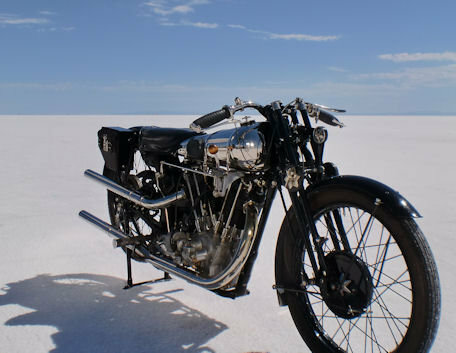 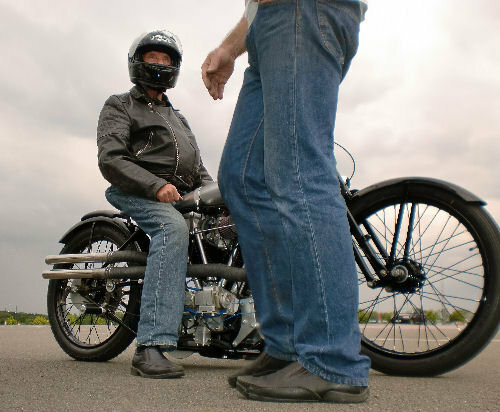 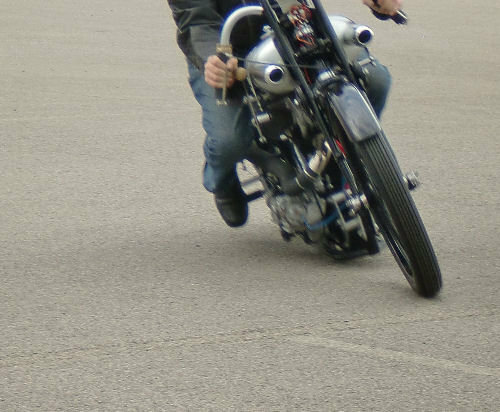 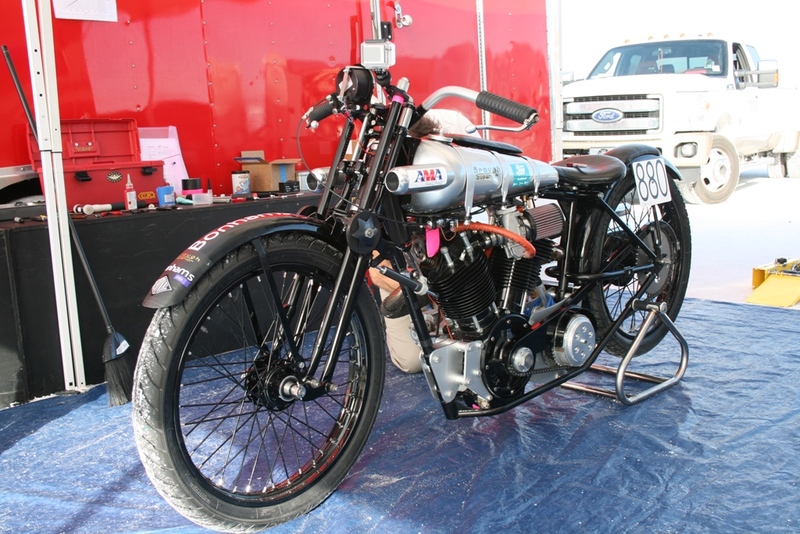 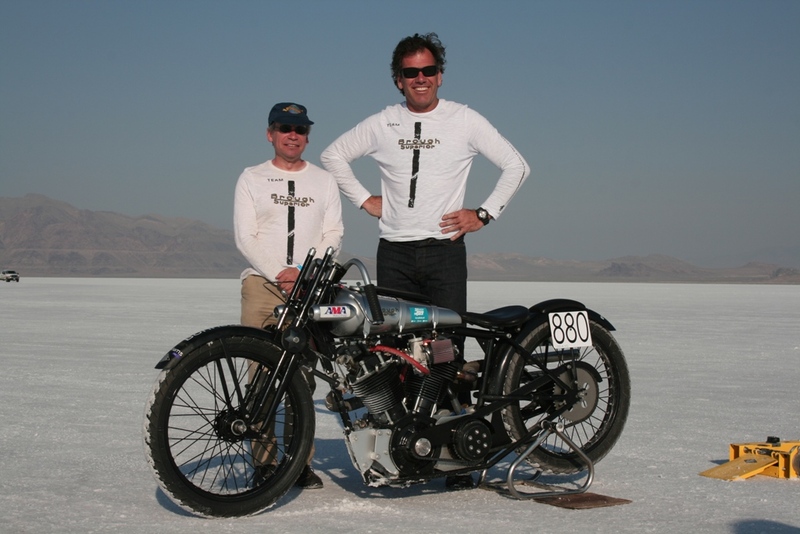 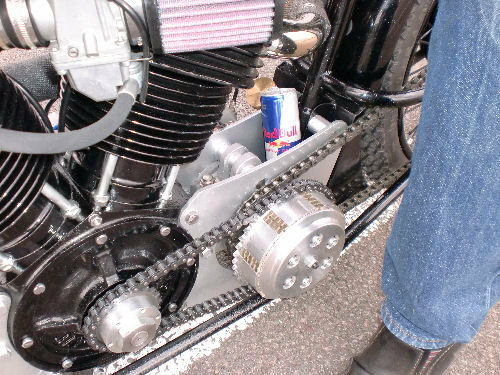 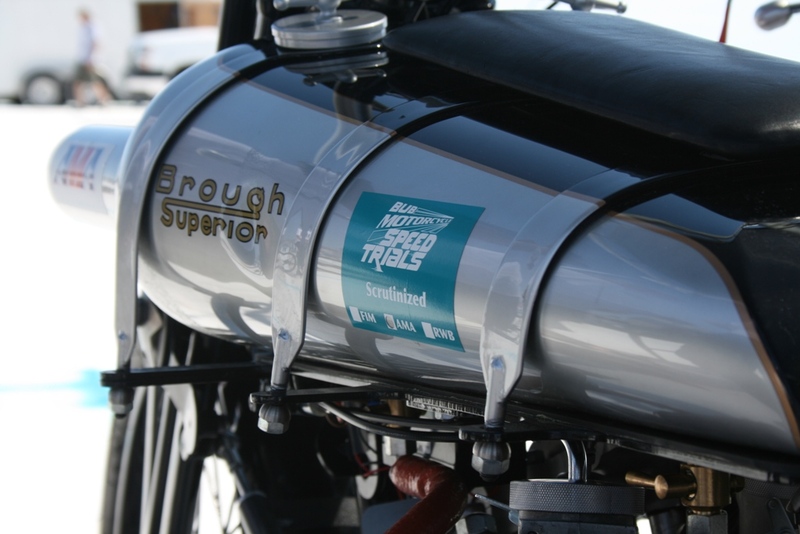 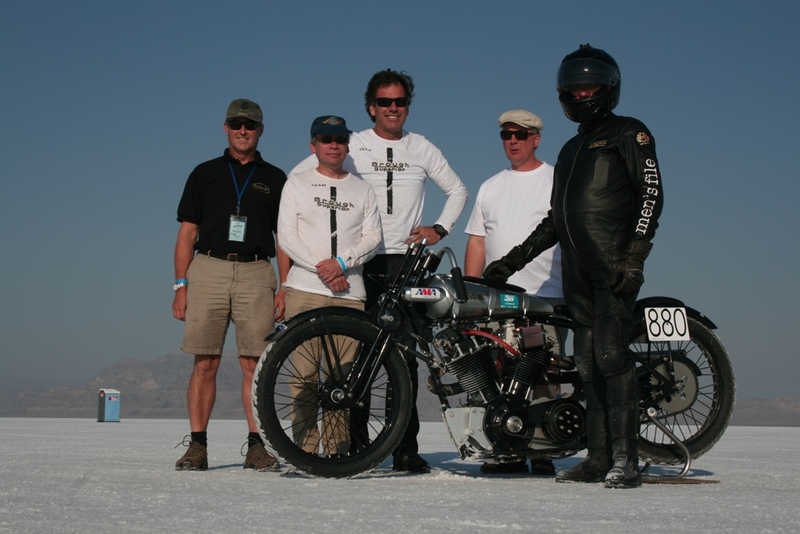 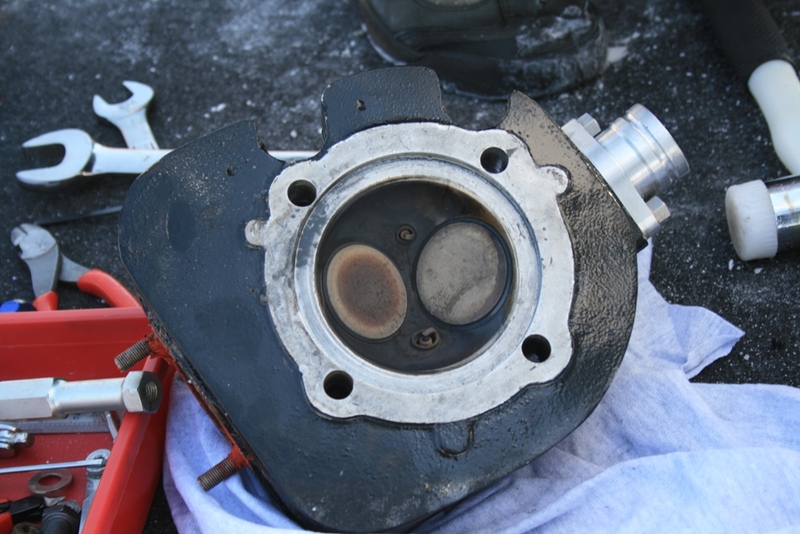 Brough Superior breaks Salt Record!